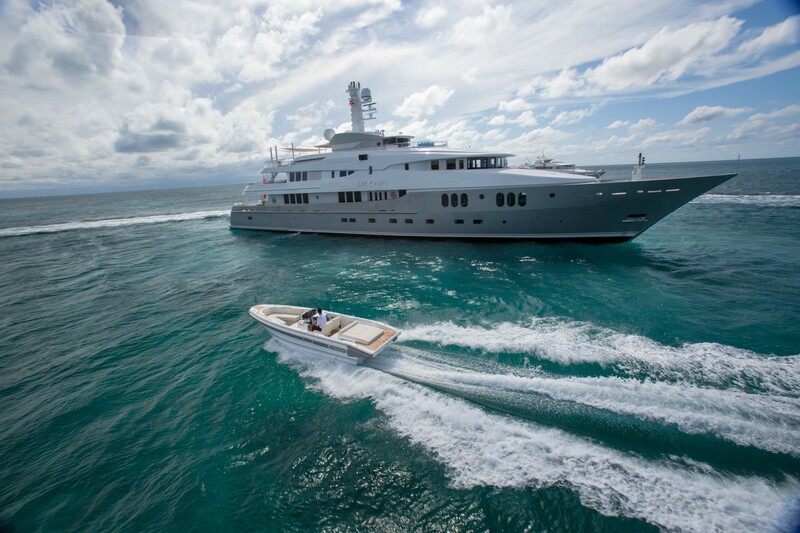 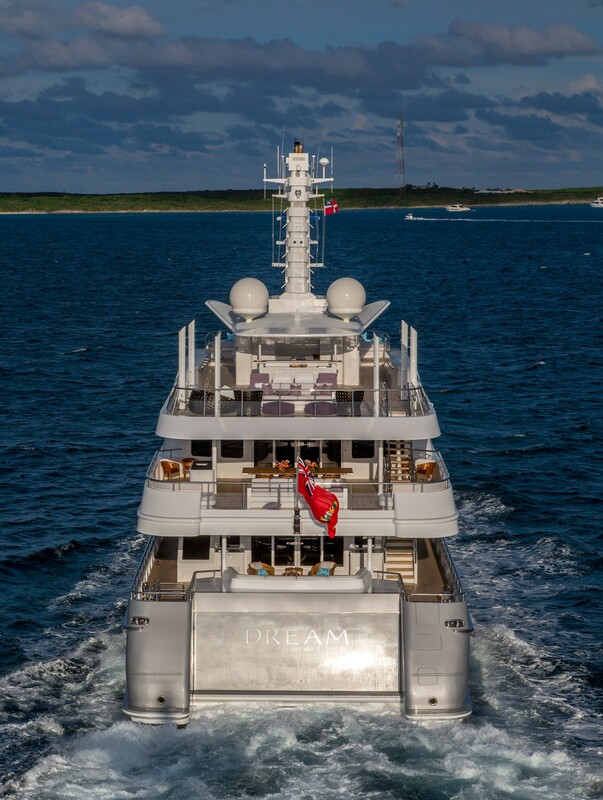 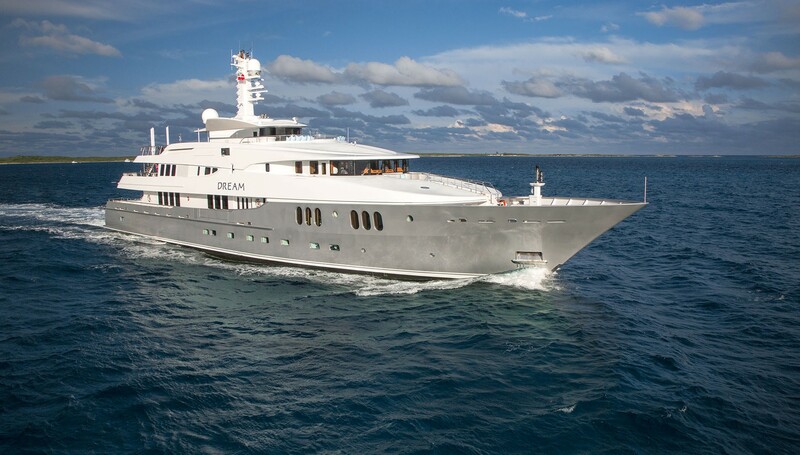 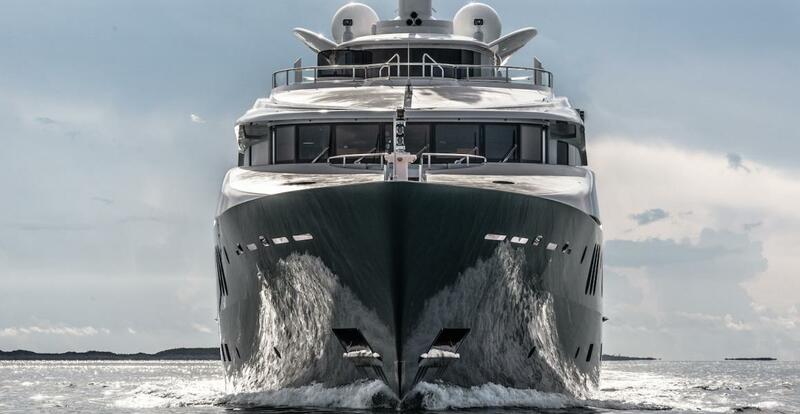 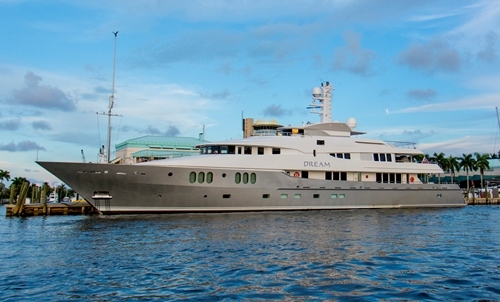 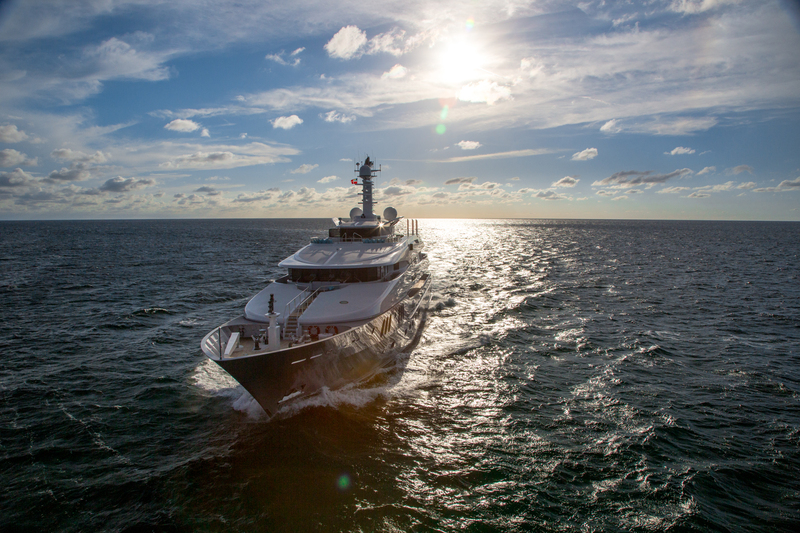 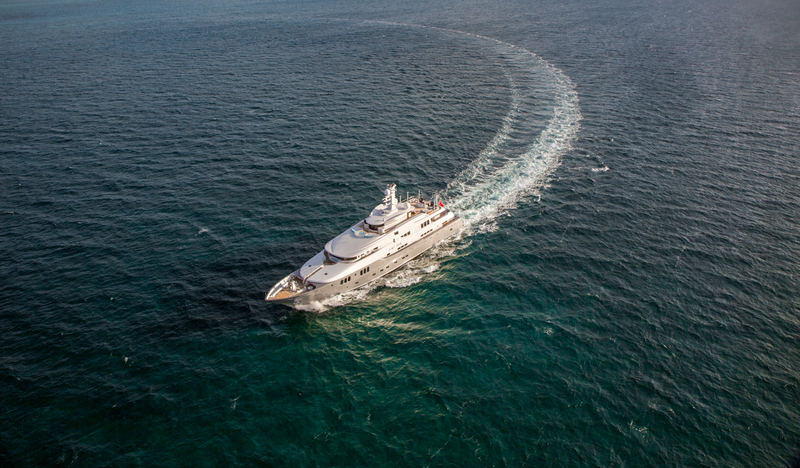 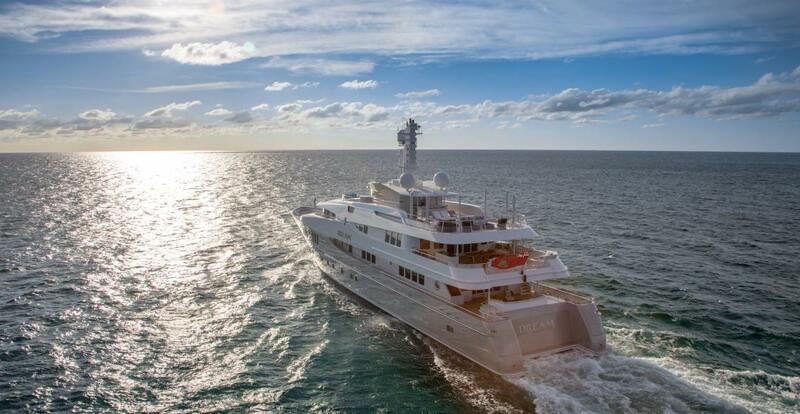 DREAM is 60 m (196.9ft) in length and was built by the well-respected German Abeking & Rasmussen yard. 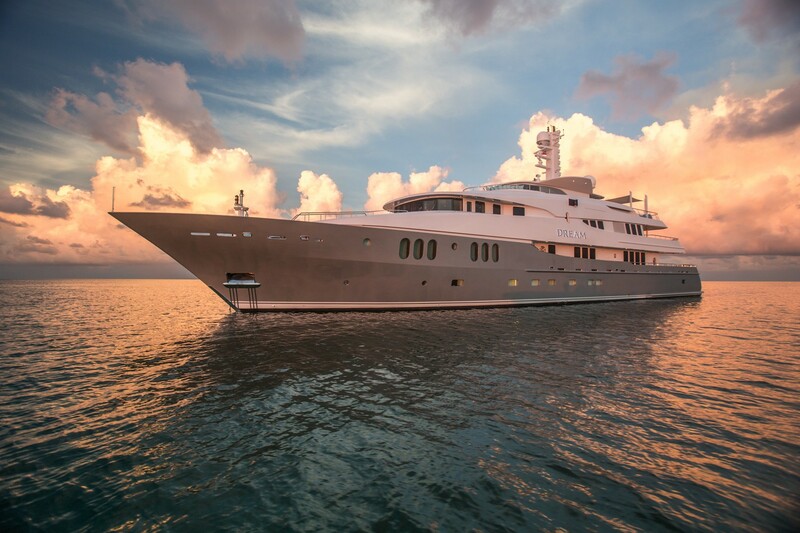 Her beautiful exterior profile was penned by Donald Starkey, while the interior was designed by Bannenberg & Rowell. 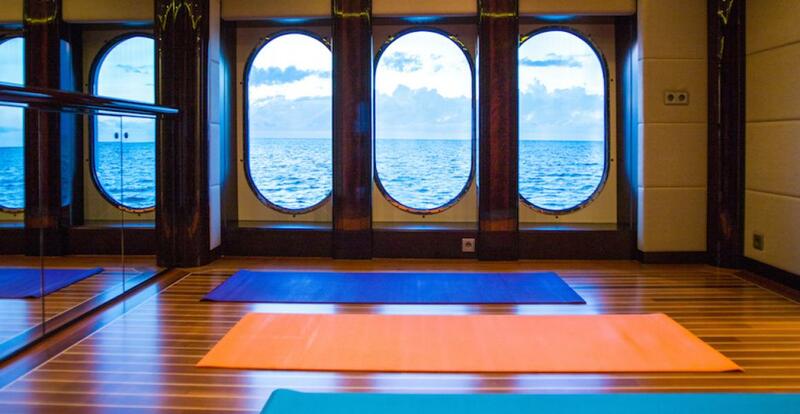 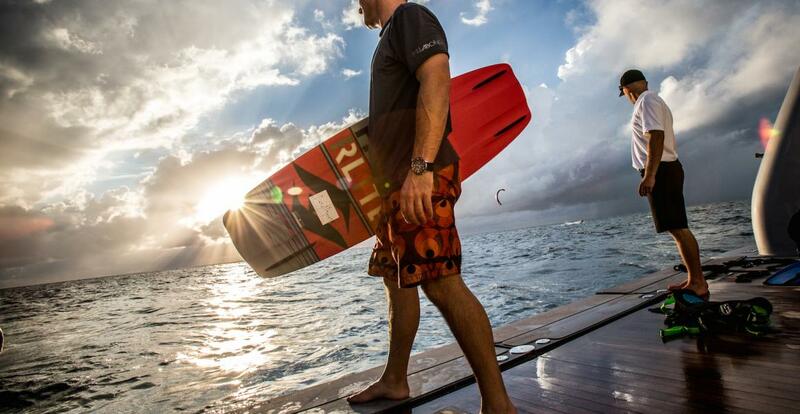 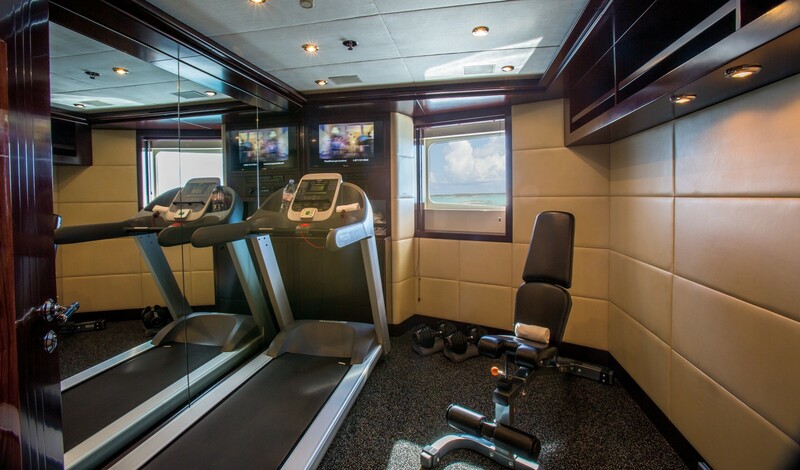 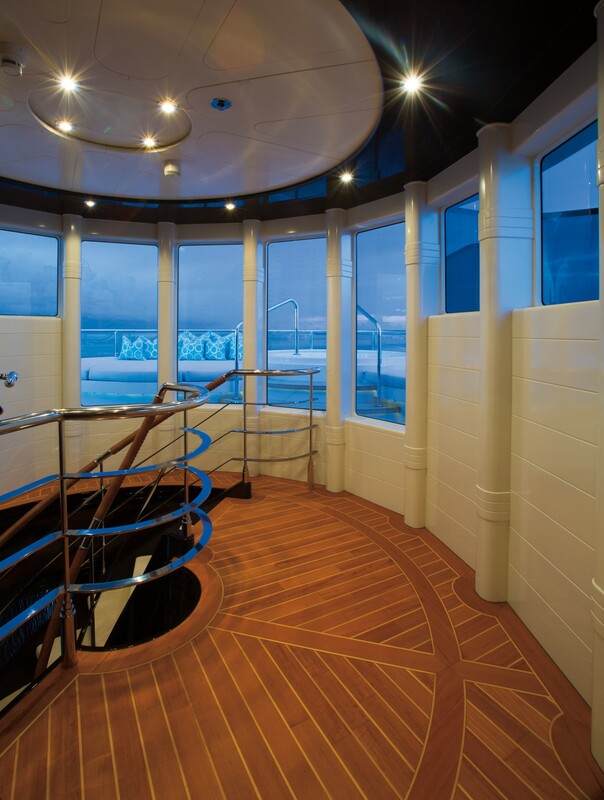 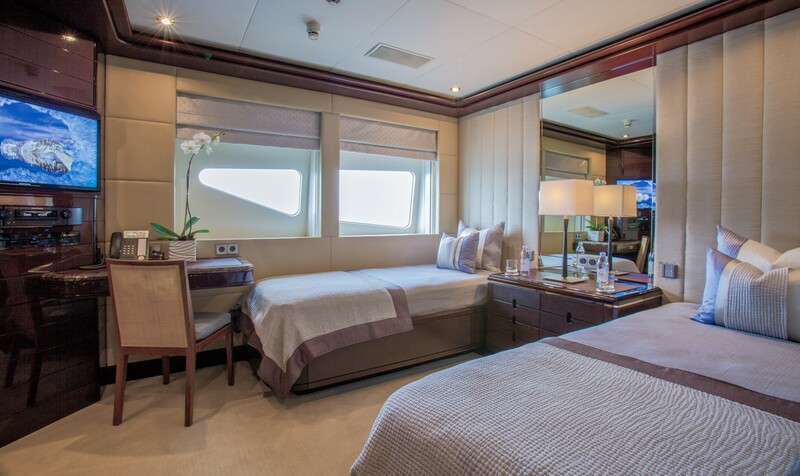 She accommodates up to 12 guests in her four king-sized cabins and two additional cabins. 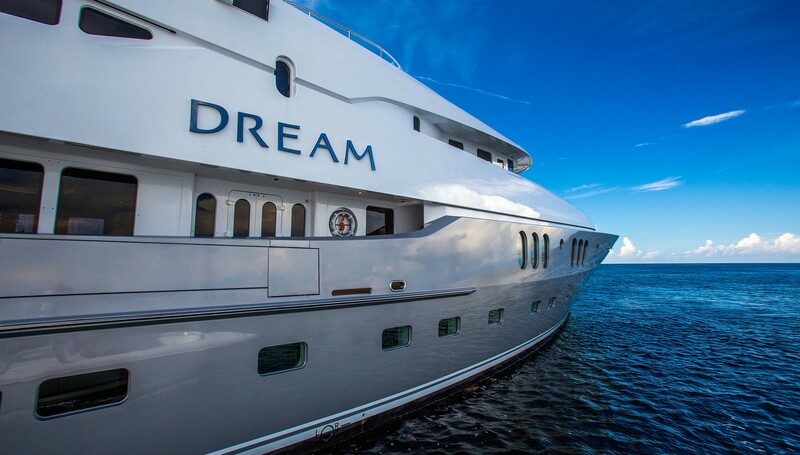 DREAM'S SPECIAL FEATURES INCLUDE ~ Vast outdoor deck areas ~ Huge Master Suite ~ Contemporary "Zen-like" interior ~ Sky lounge converts into cinema ~ An array of water toys, exercise & lifestyle equipment ~ Relaxation room for yoga, massage & aerobics ~ Enchanting Hermes decor throughout ~ Sensational water slide (pictured) ~ Quantum XT Zero Speed stabilizers ~ Experienced and highly professional crew. 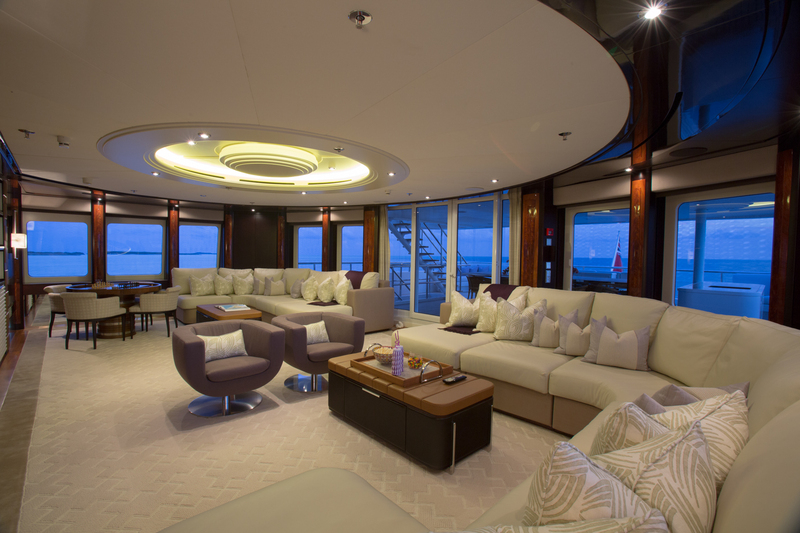 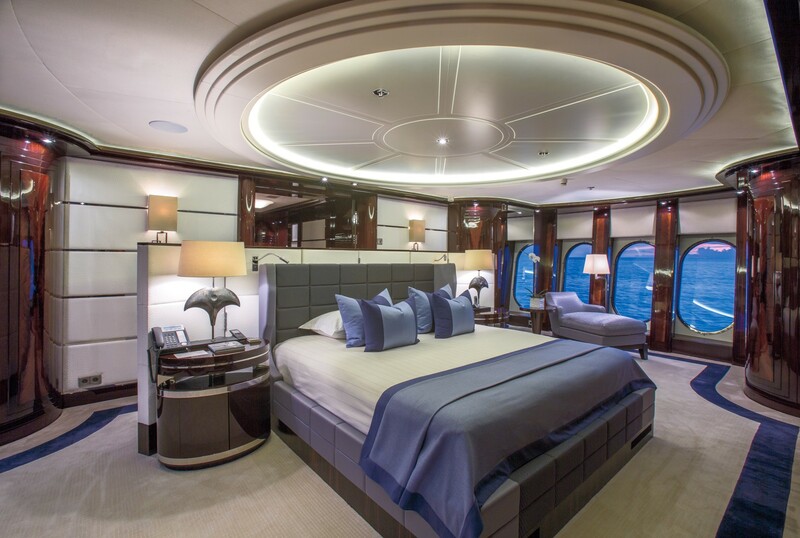 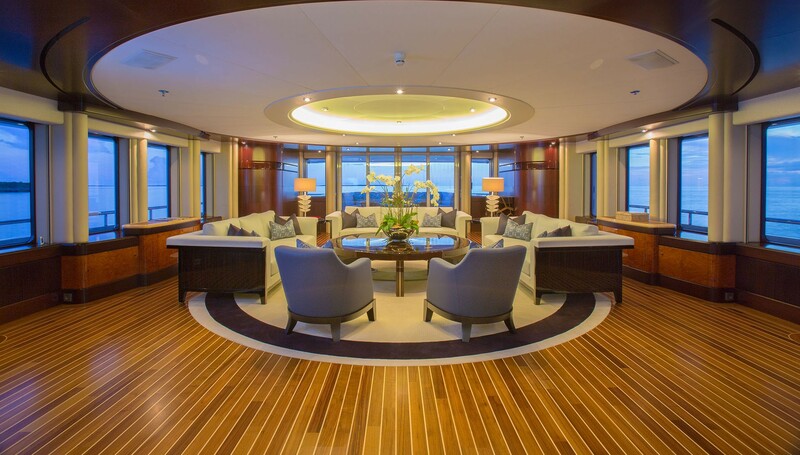 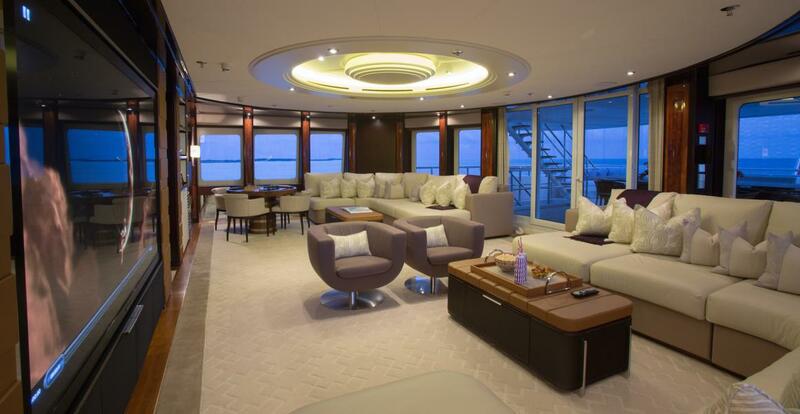 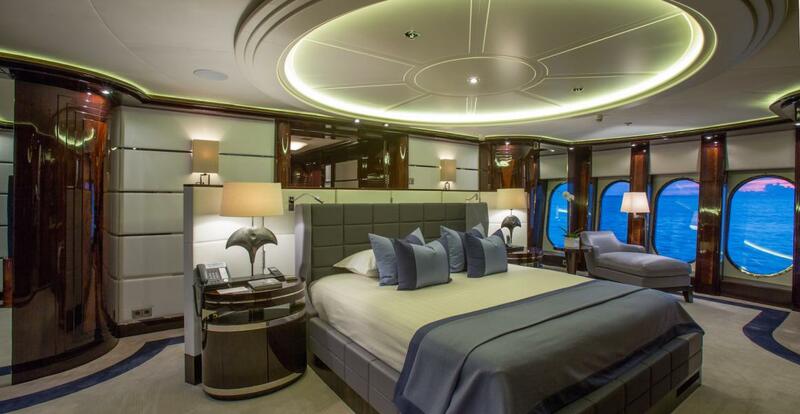 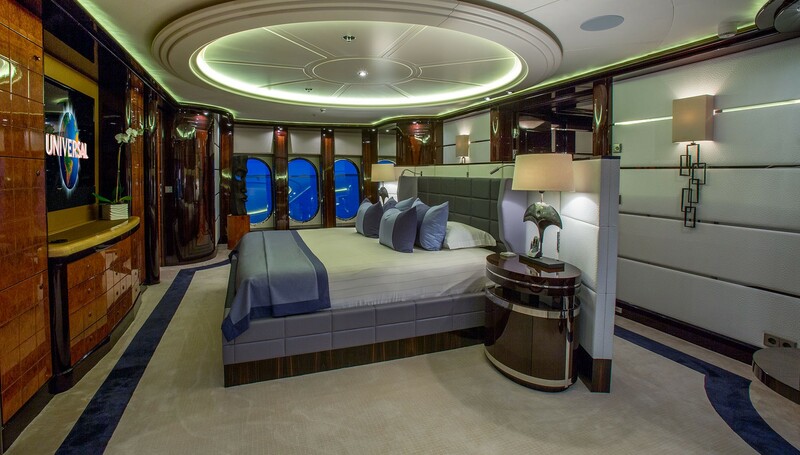 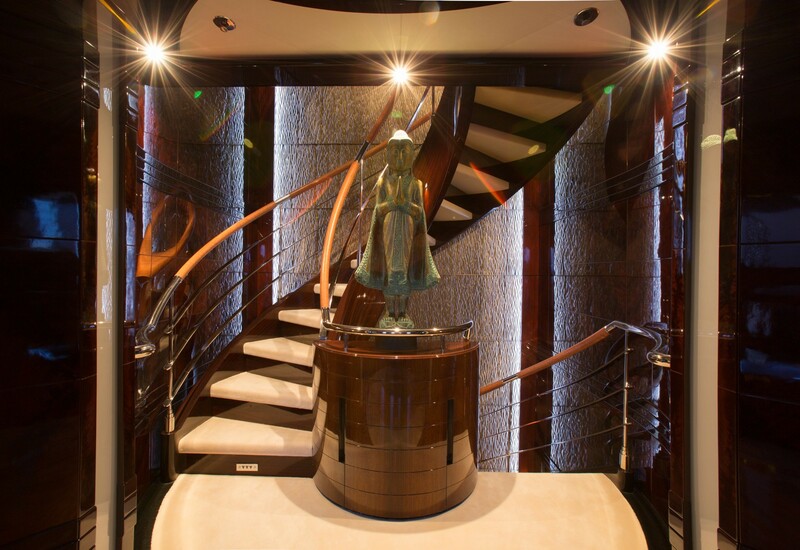 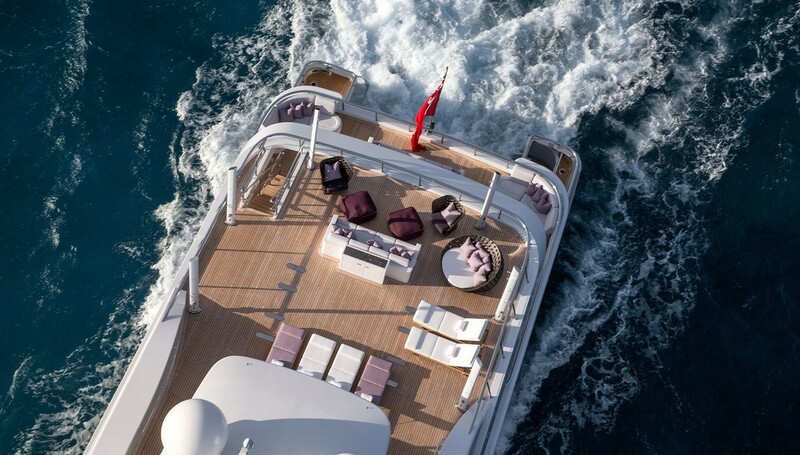 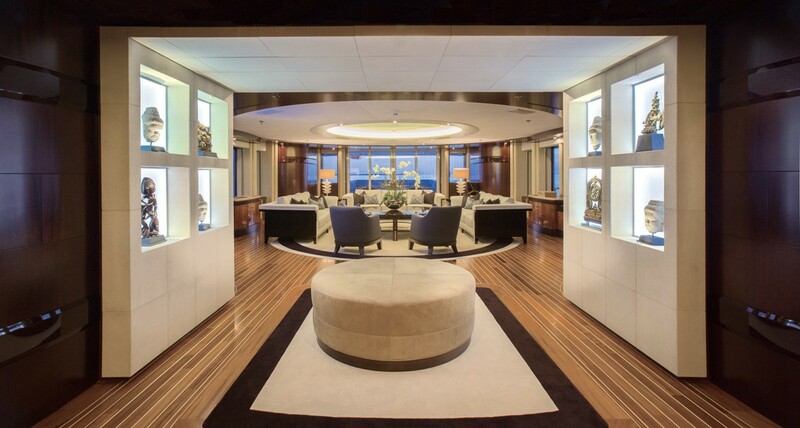 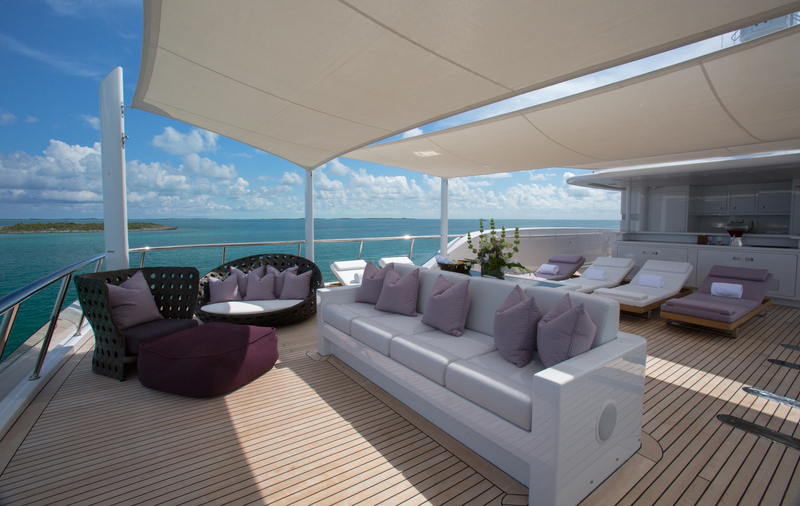 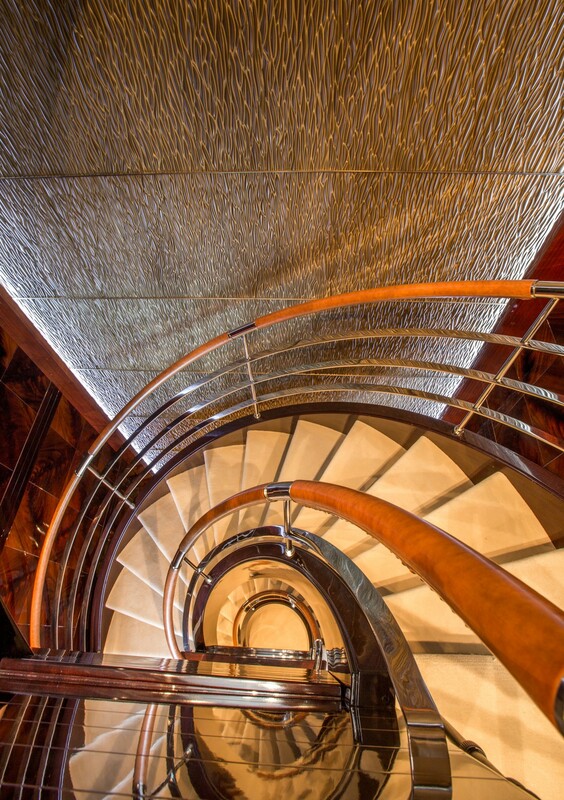 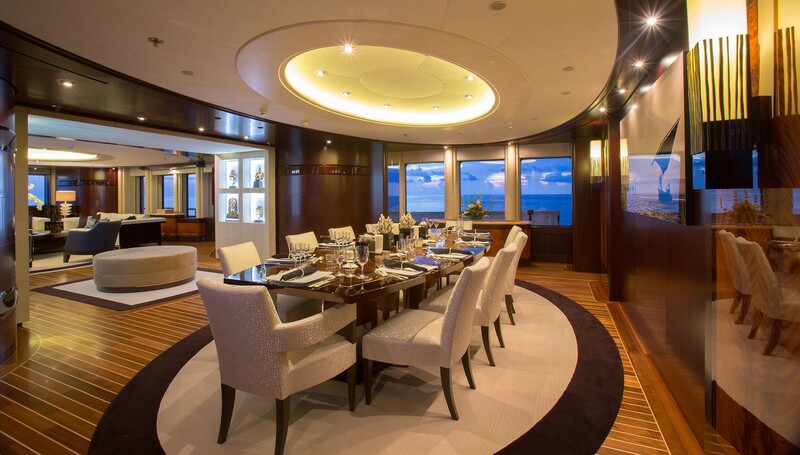 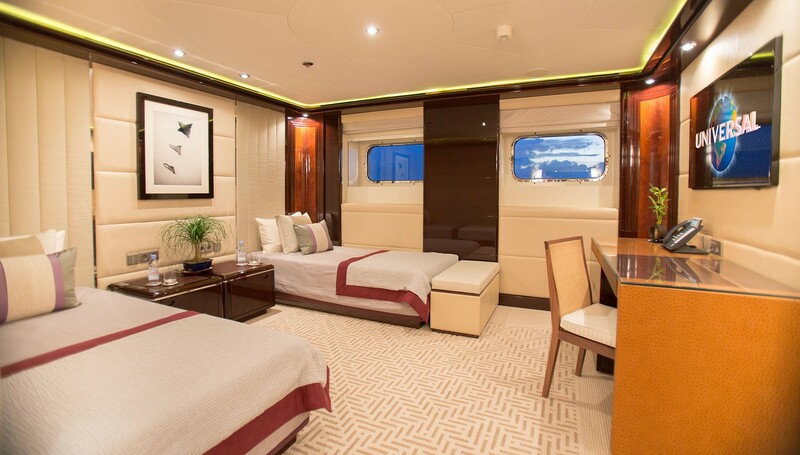 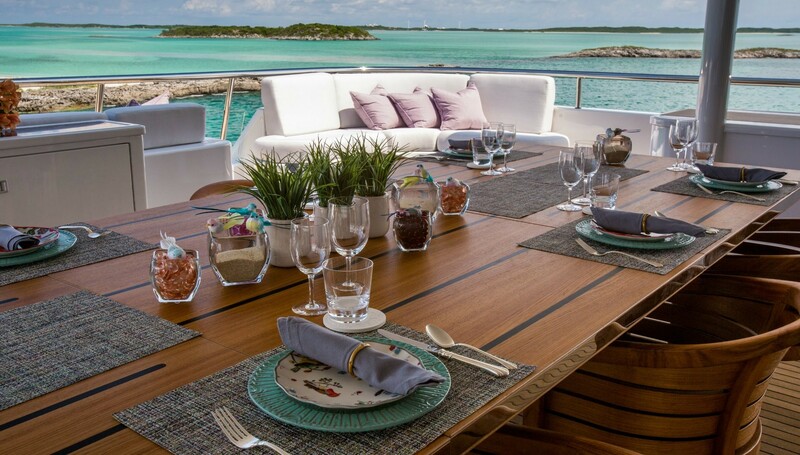 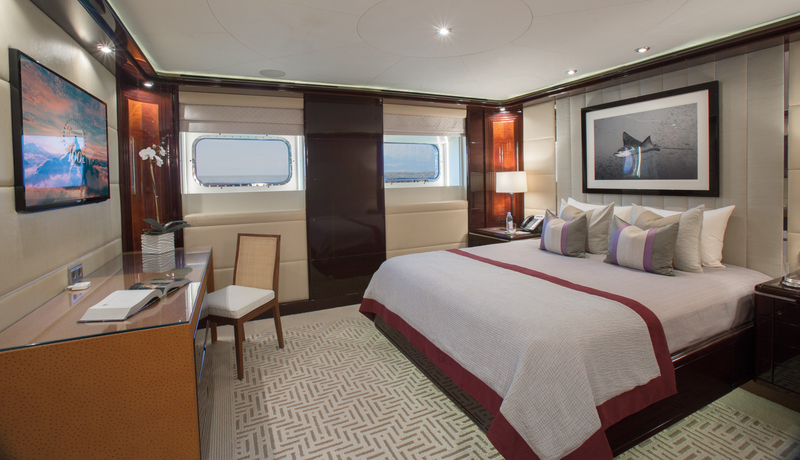 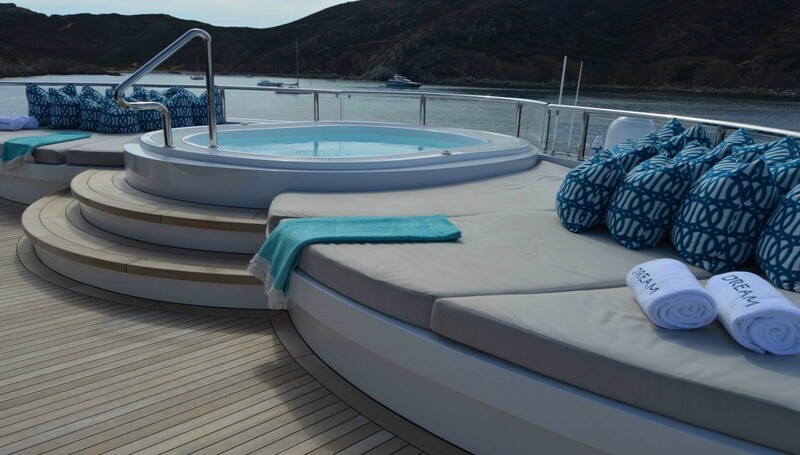 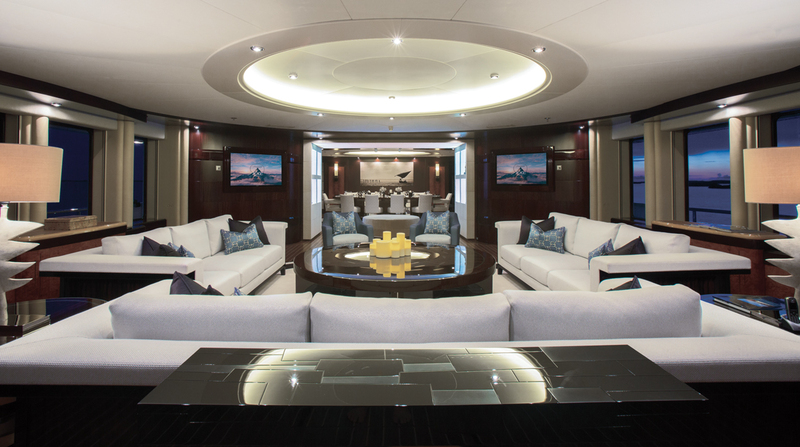 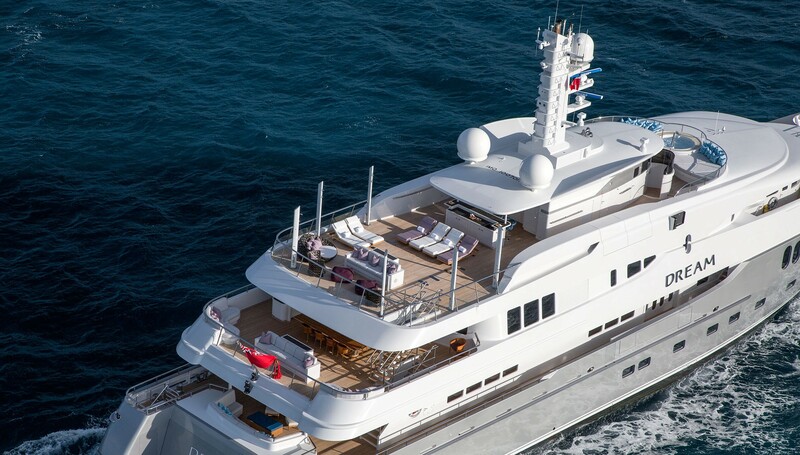 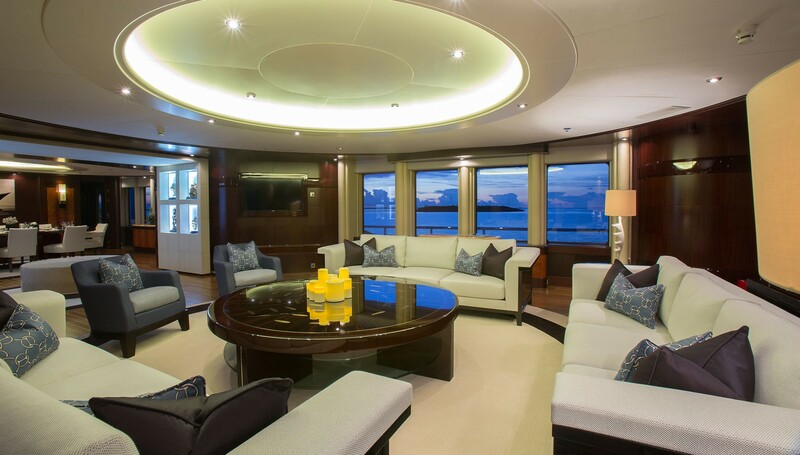 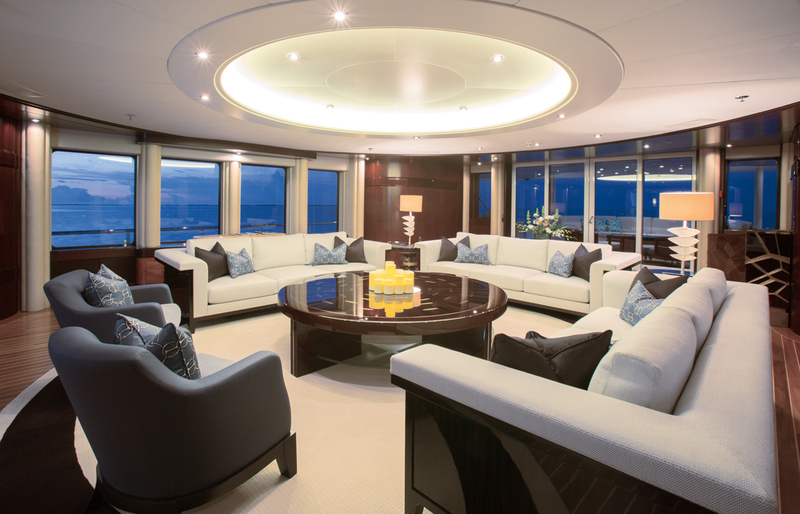 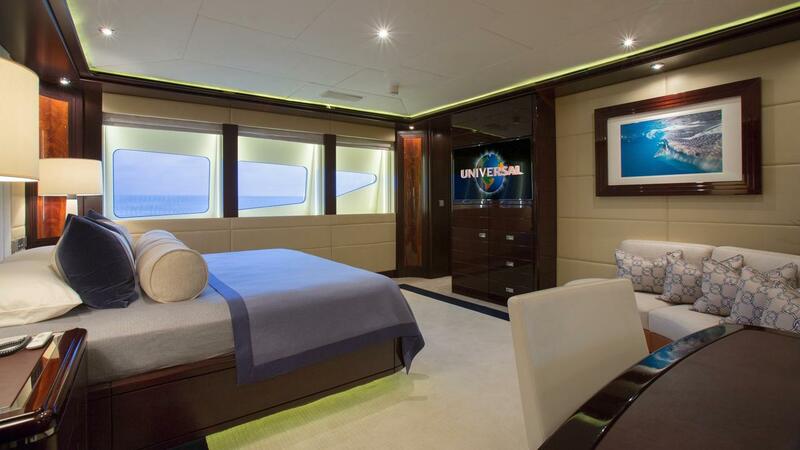 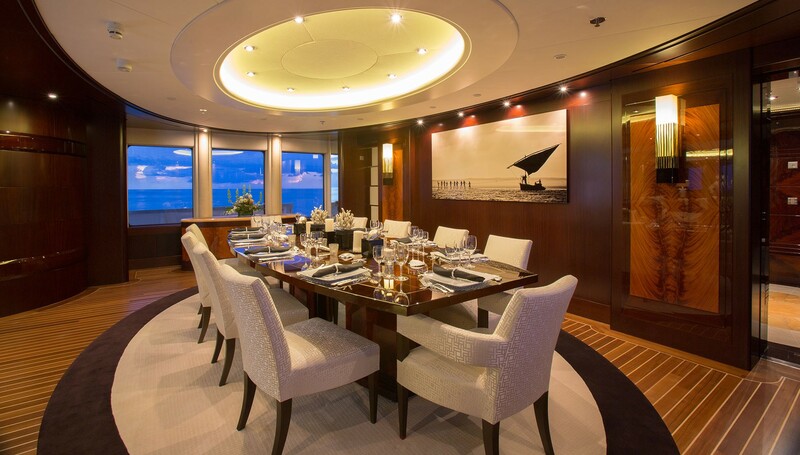 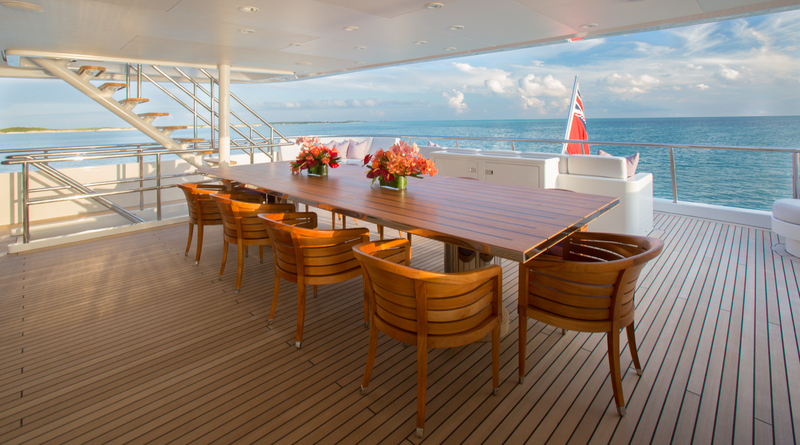 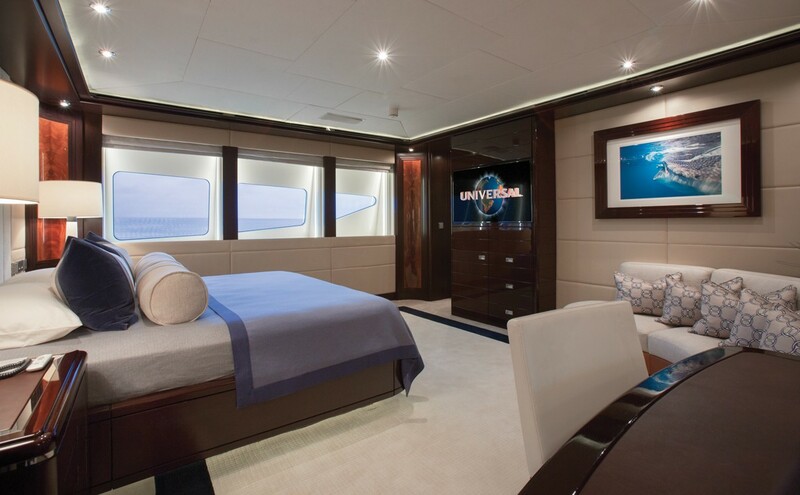 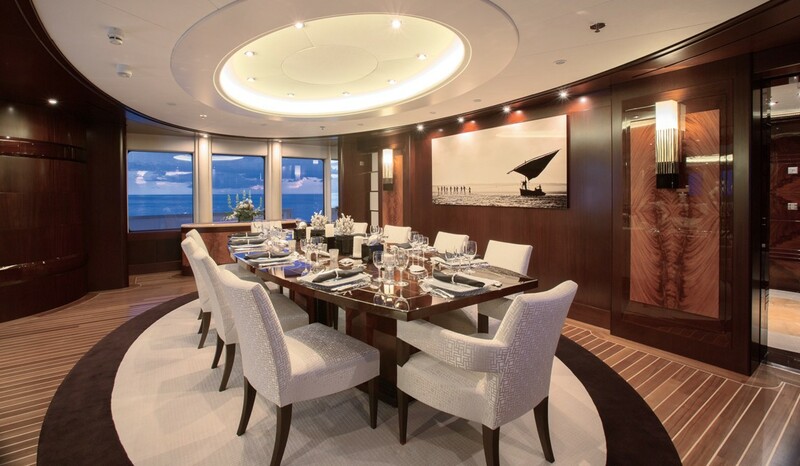 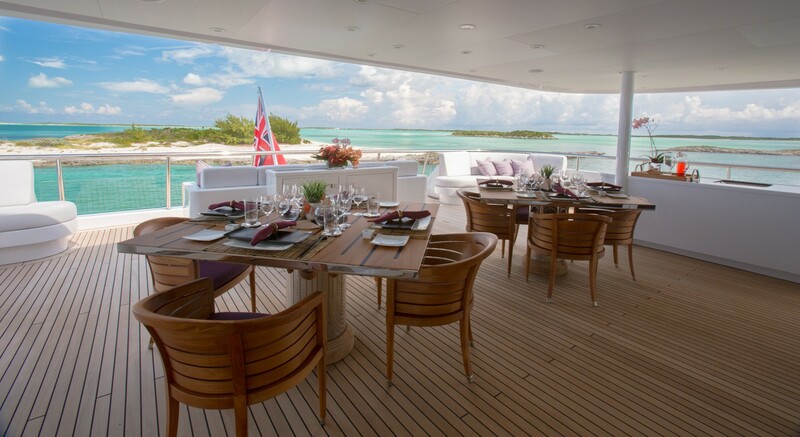 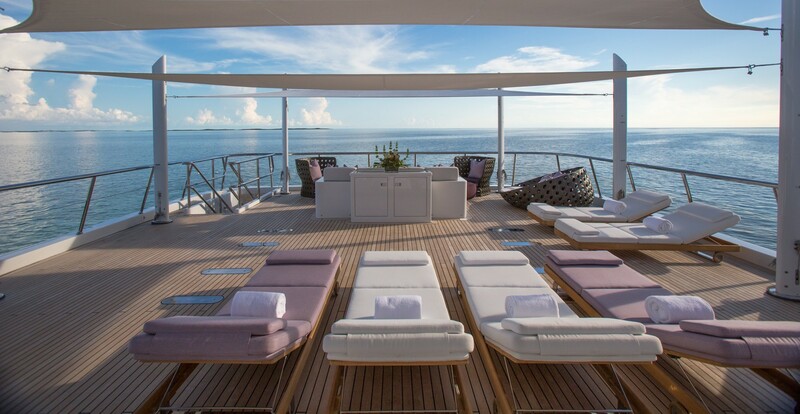 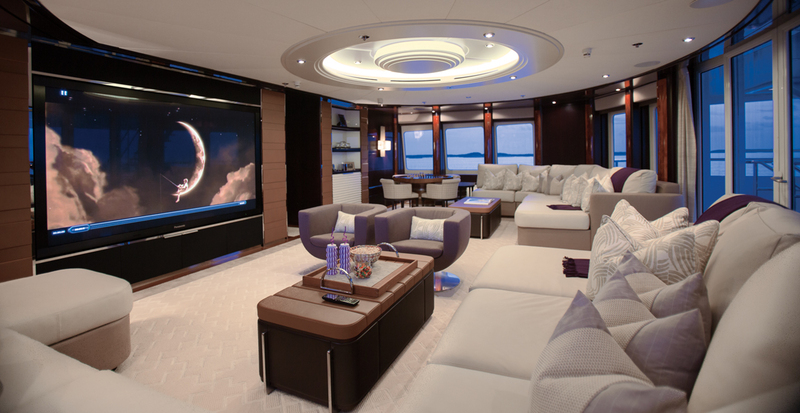 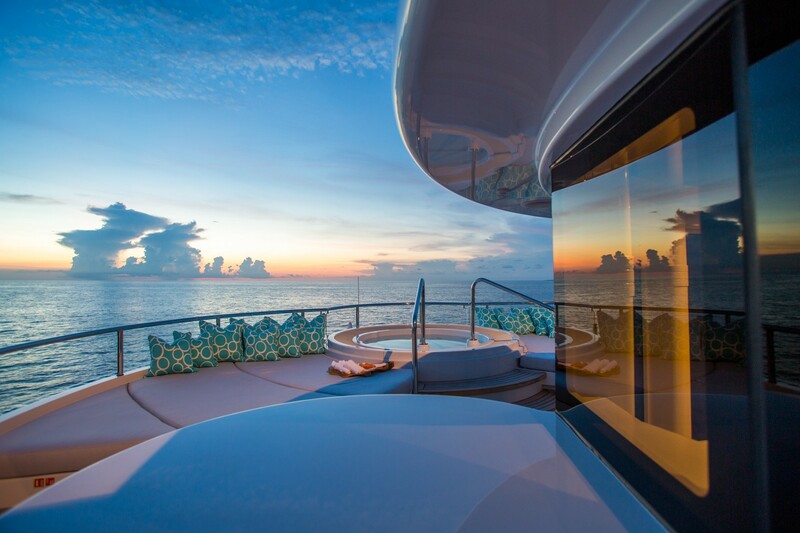 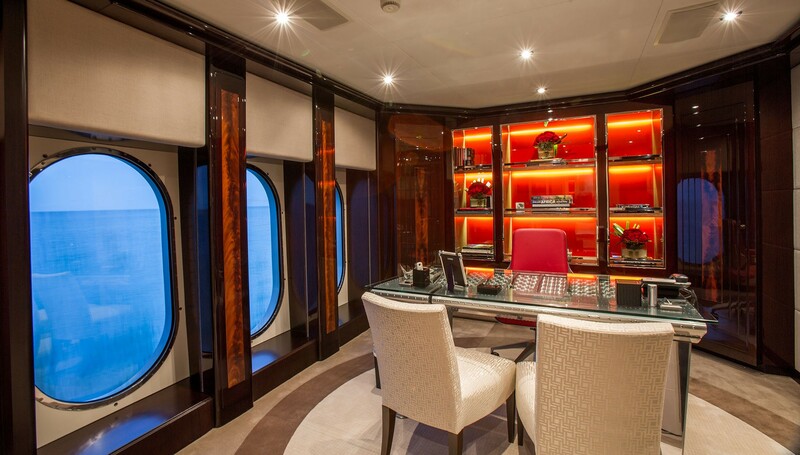 Her interior is a combination of the yacht owner’s desired characteristics and Bannenberg & Rowell’s signature style. 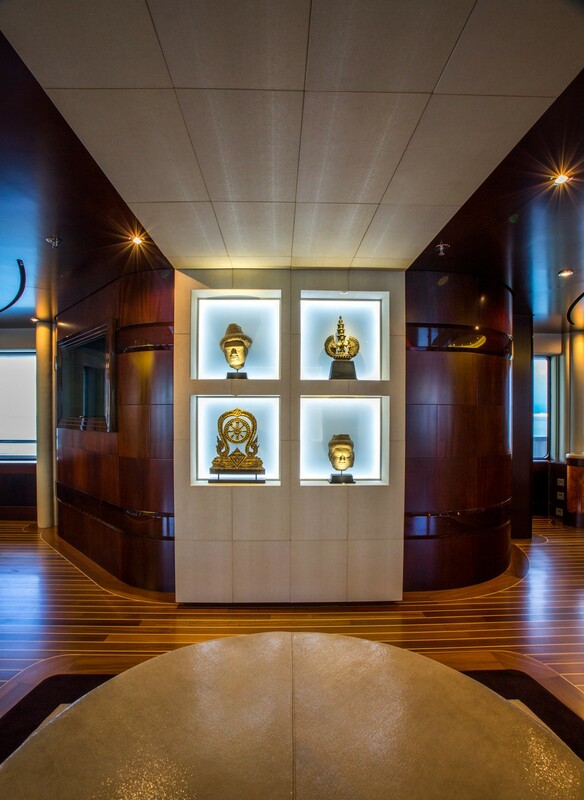 Some luxurious wood elements, custom-made furniture and Asian artwork, create a relaxed and inviting ambience. 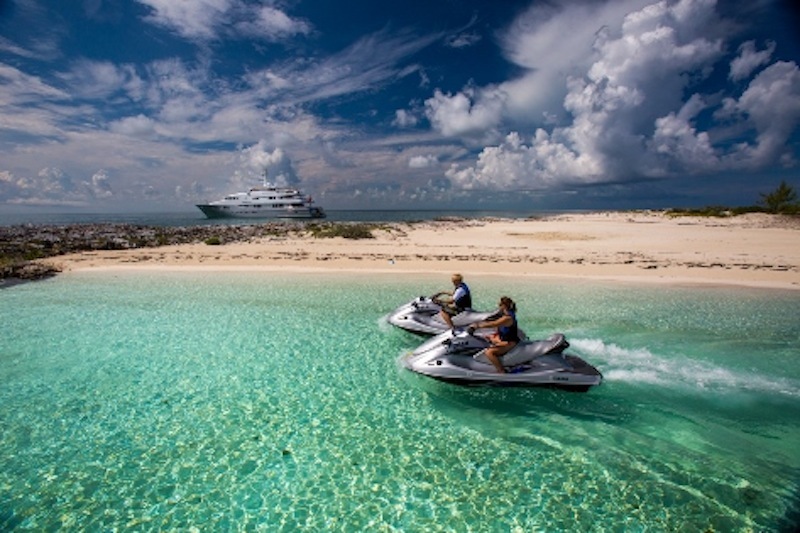 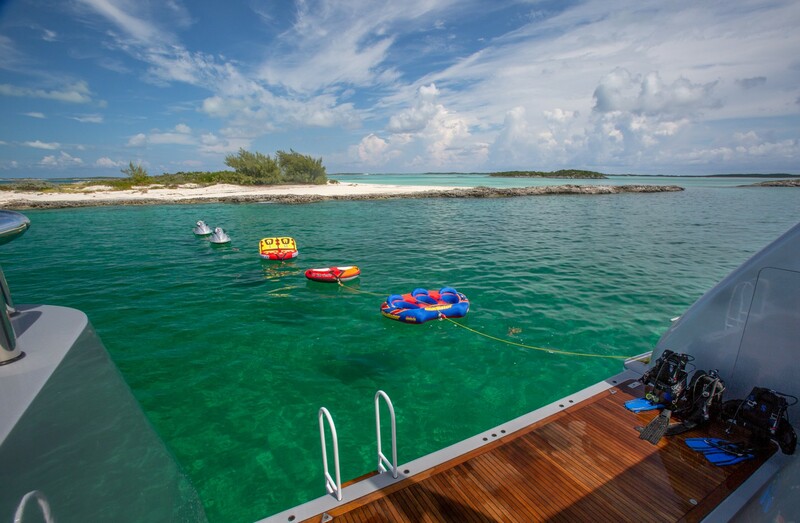 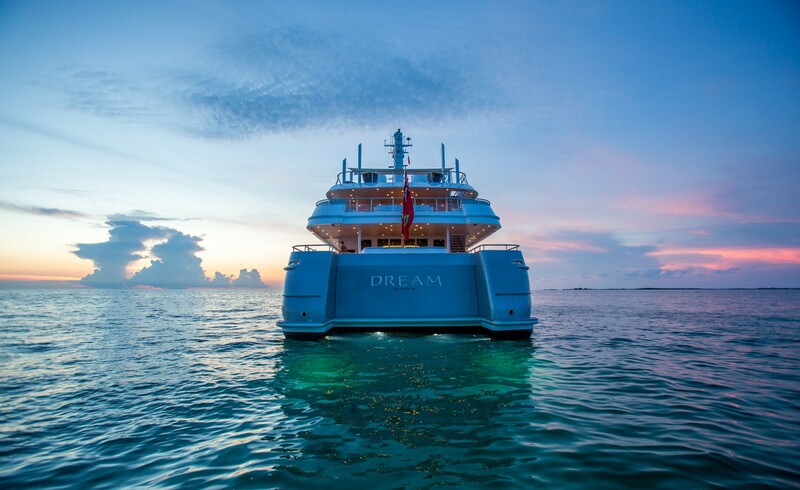 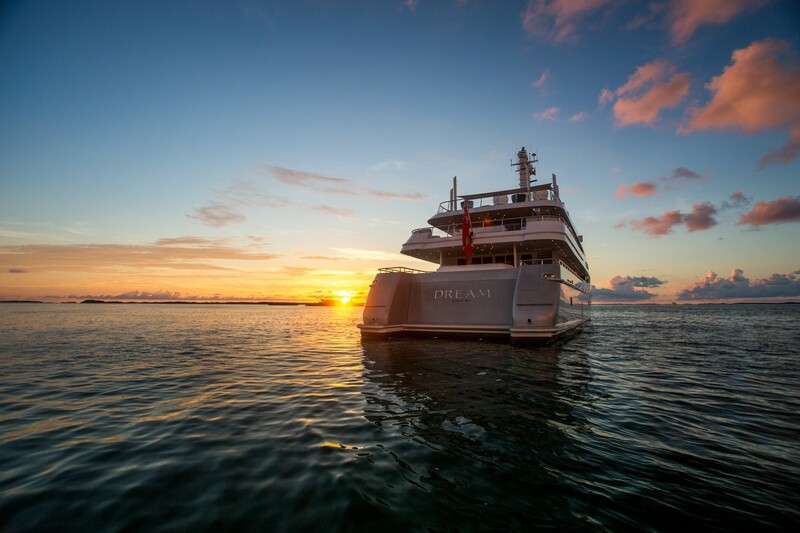 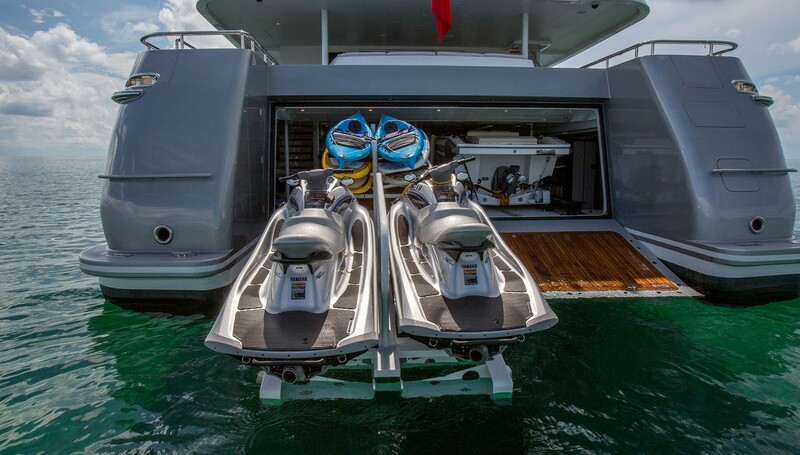 DREAM features a comprehensive selection of water toys and internal entertainment including, a gymnasium, and a sky lounge which converts to a movie theatre with excellent surround sound. 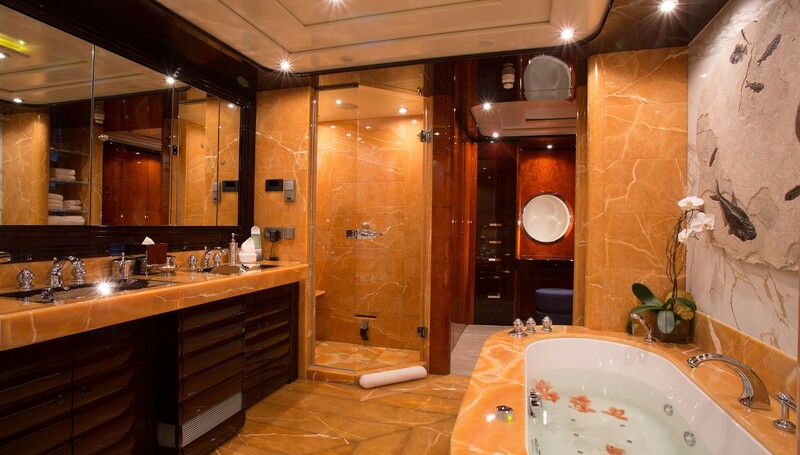 She boasts an interior which utilises a luxurious blend of mahogany woodwork which has been complemented expertly by some lovely myrtle and honey onyx. 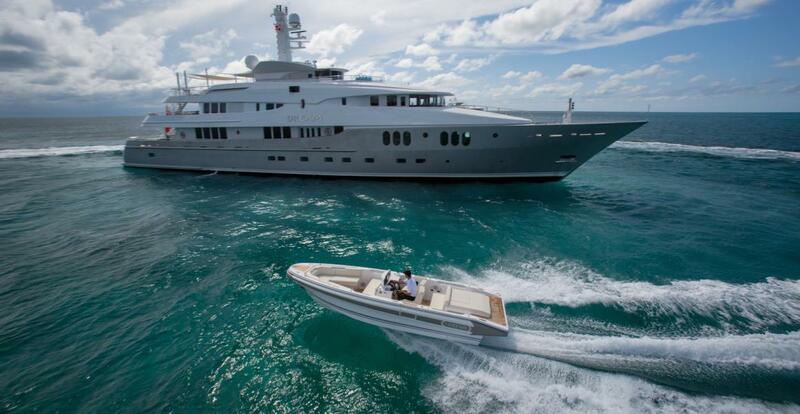 The yacht was built and designed to the latest of Lloyds SSC and also MCA standards. 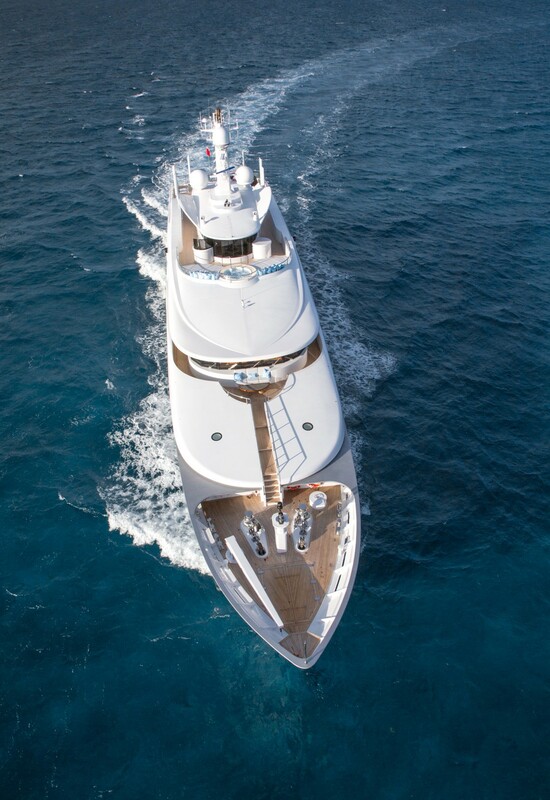 She is fitted with two 3,754hp 3516B DITA diesel engines, which allow her to reach a top speed of 16 knots. 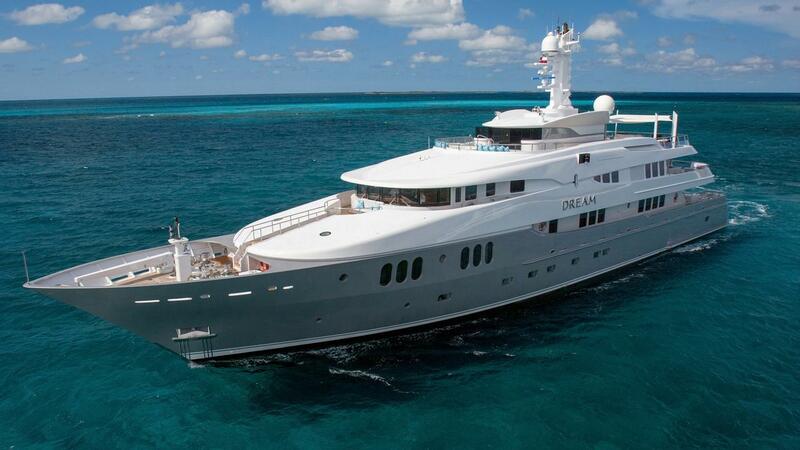 DREAM has a range of 7,200 nm at 12 knots. 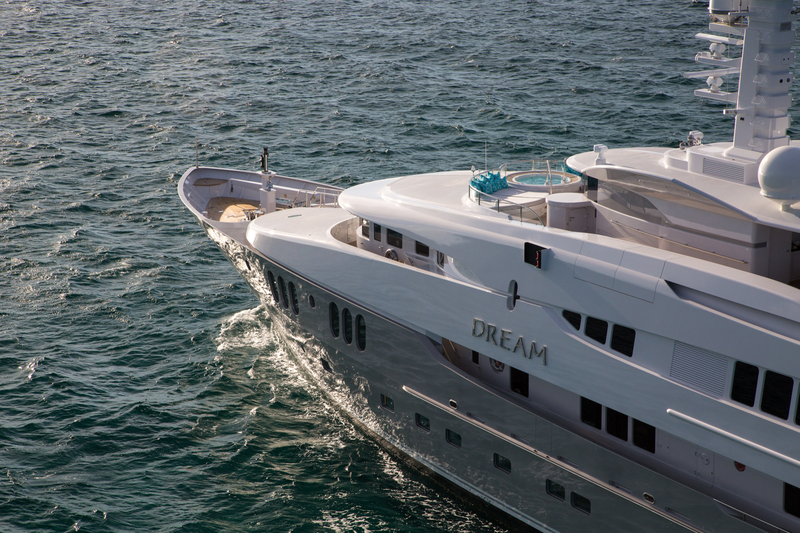 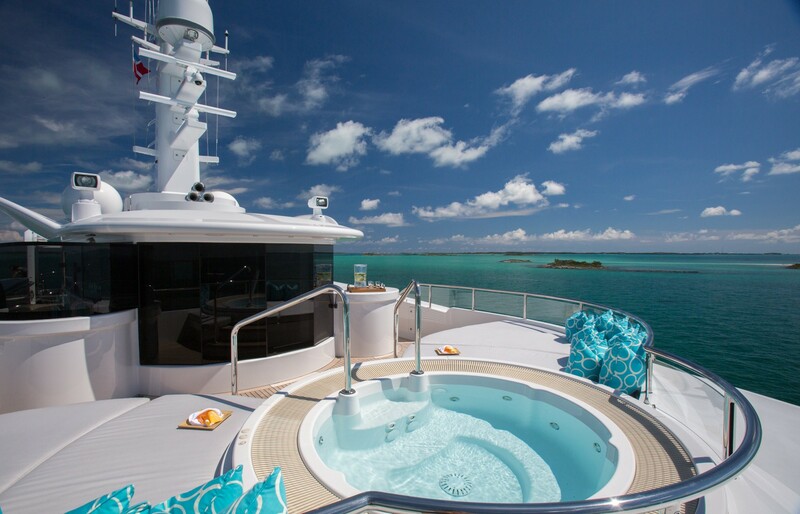 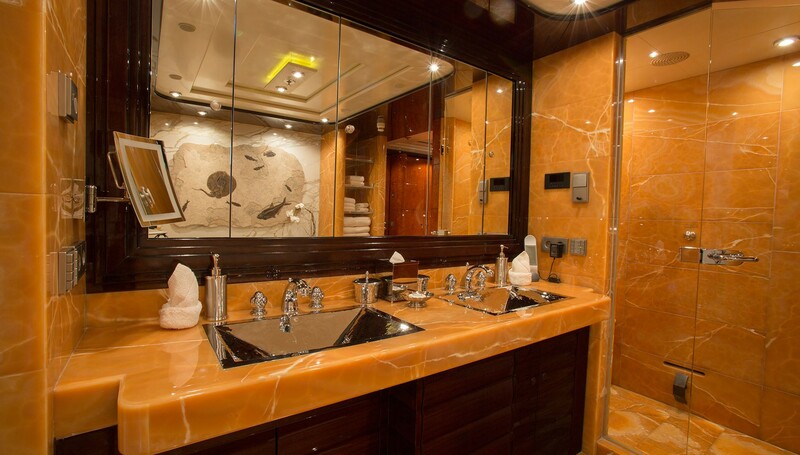 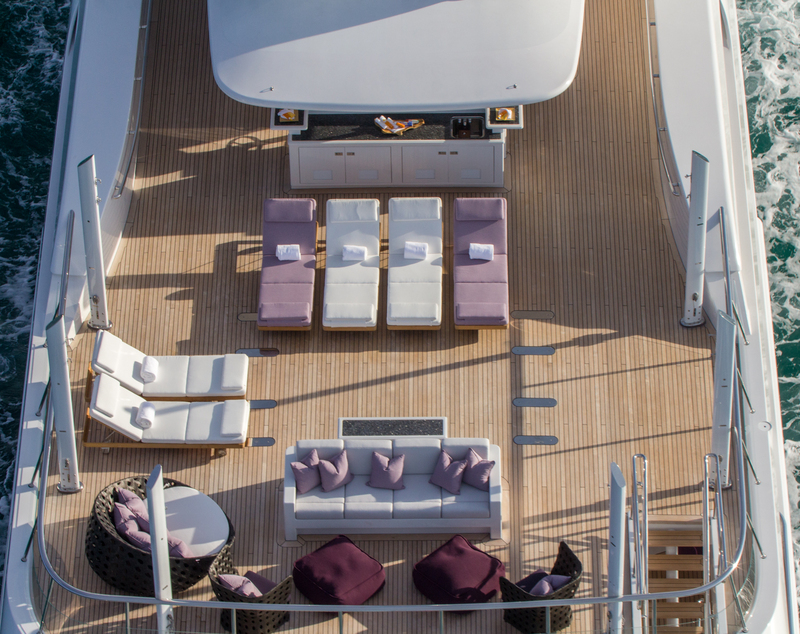 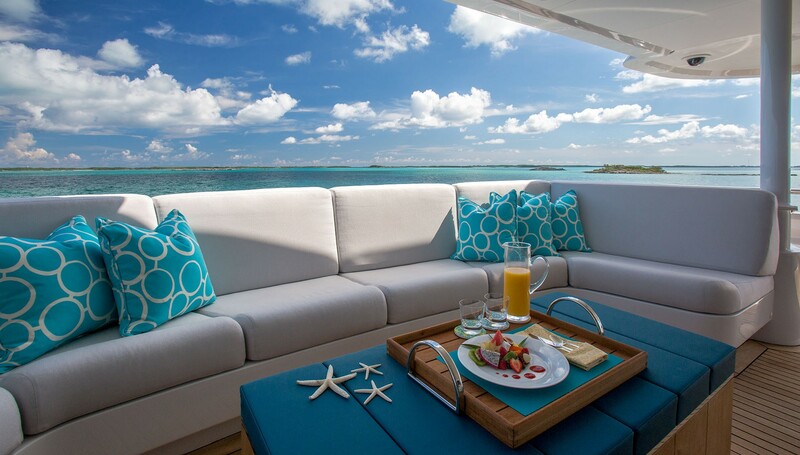 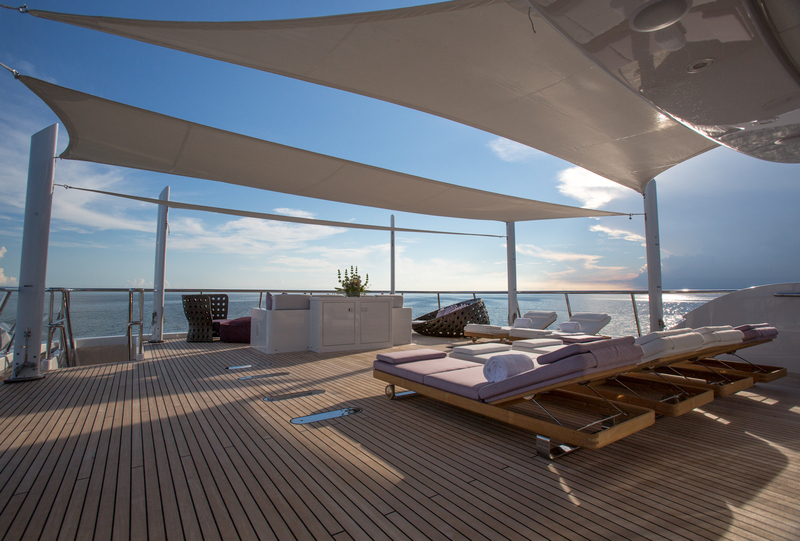 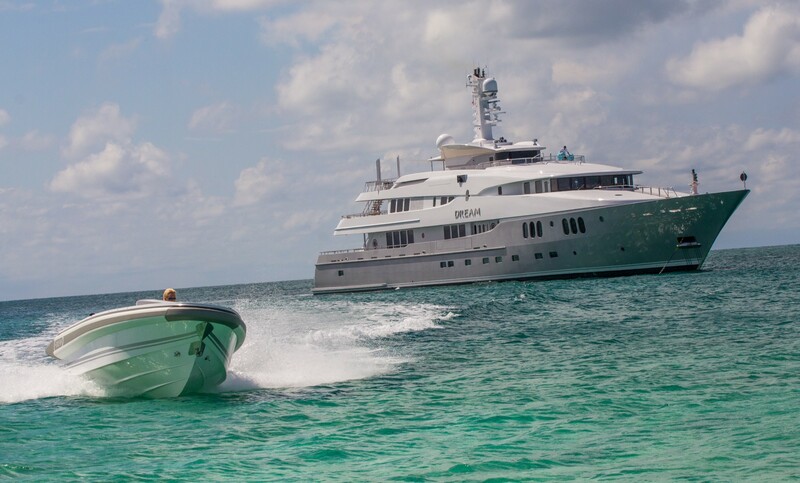 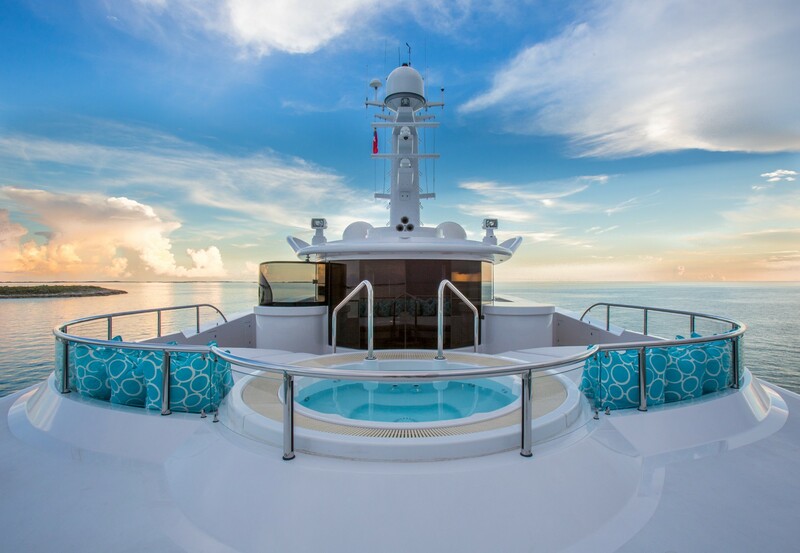 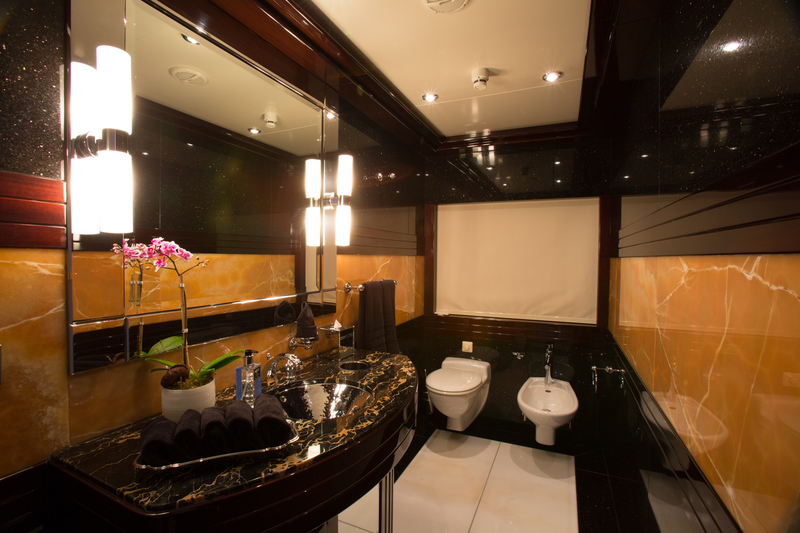 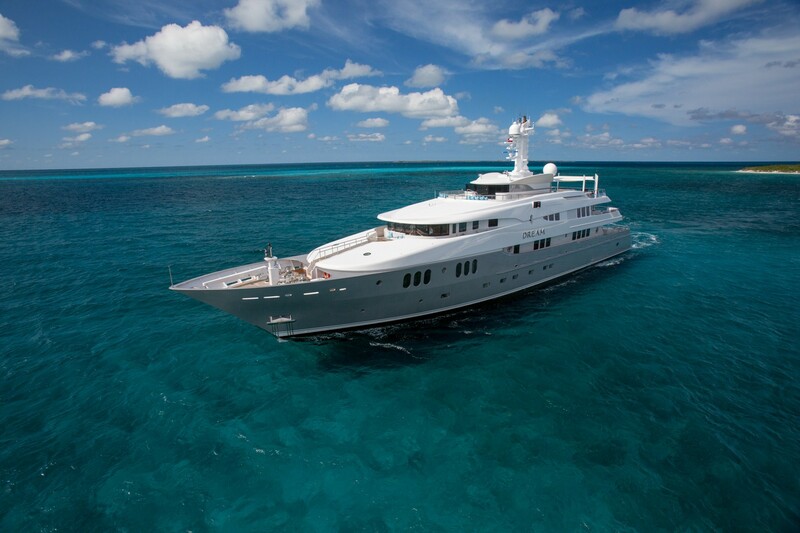 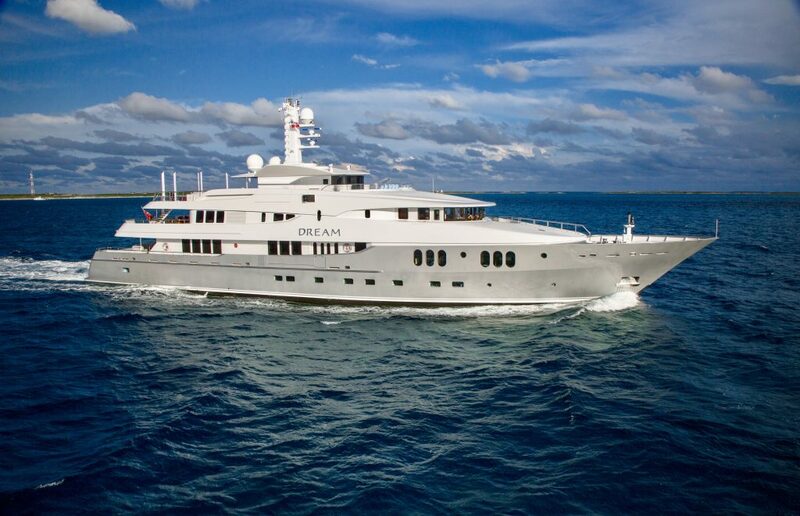 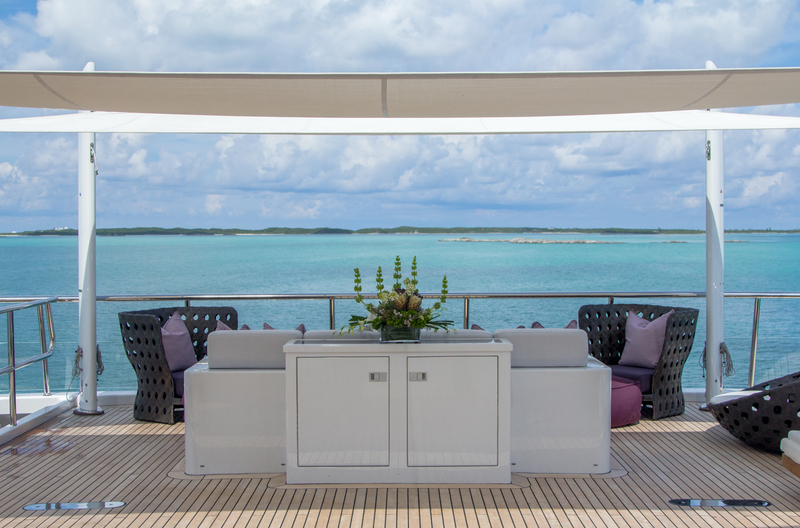 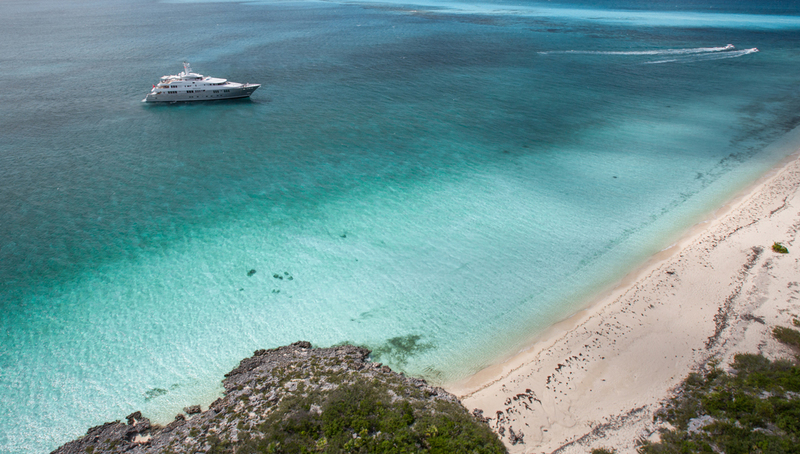 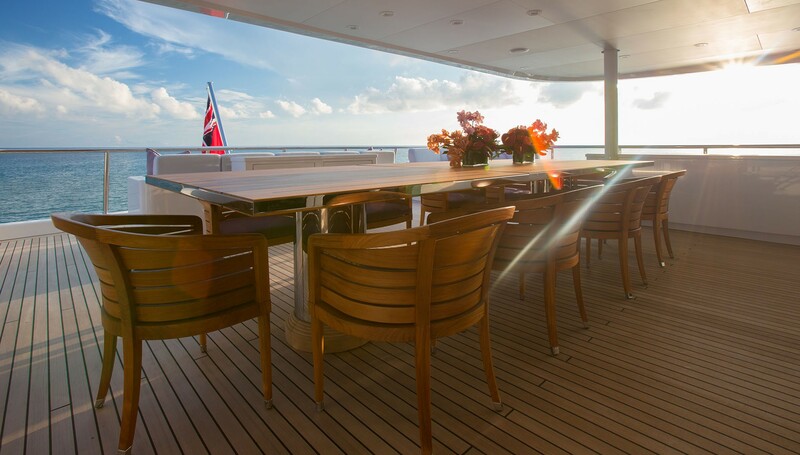 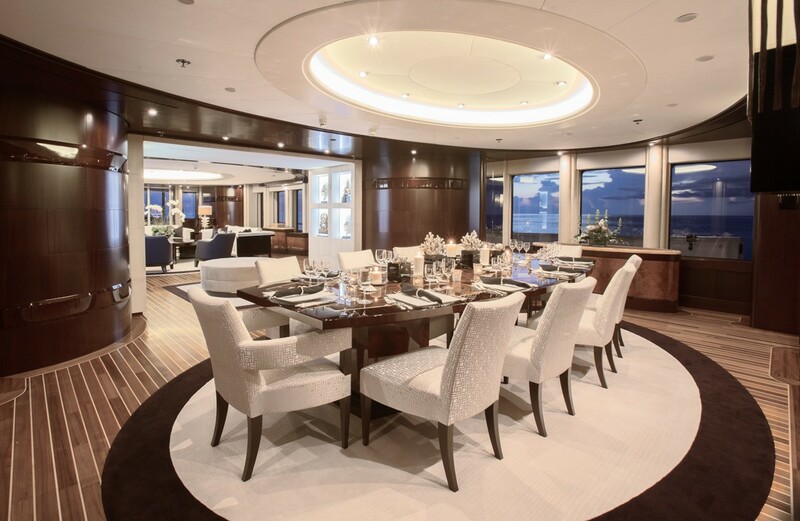 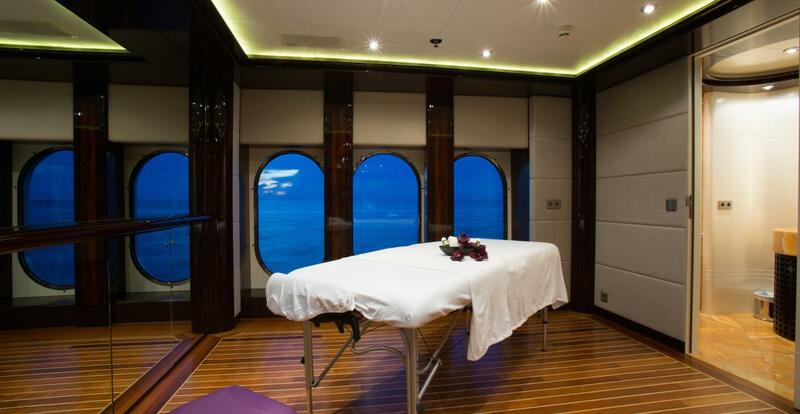 Luxury motor yacht DREAM (formerly Excellence III) provides up to 12 guests sumptuous accommodation in 7 cabins. 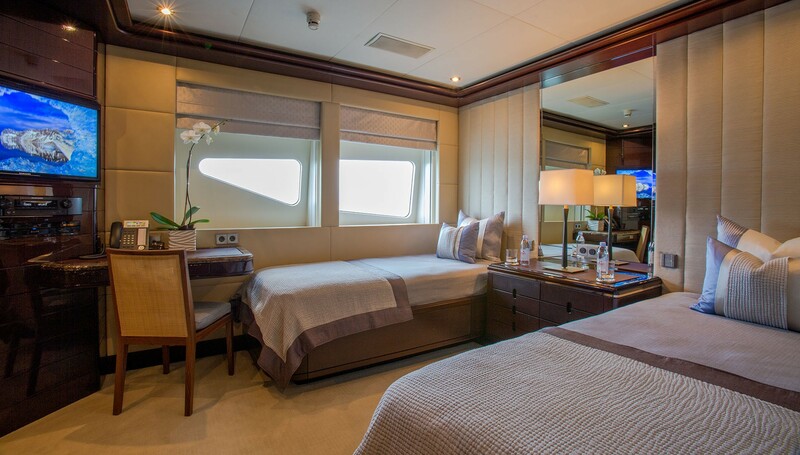 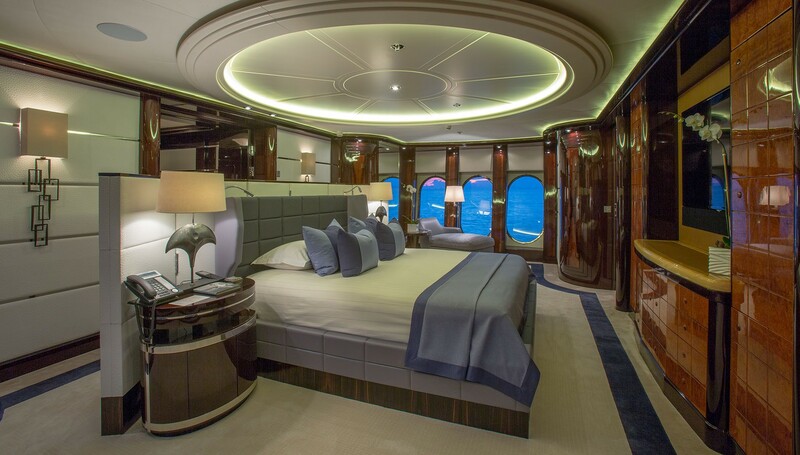 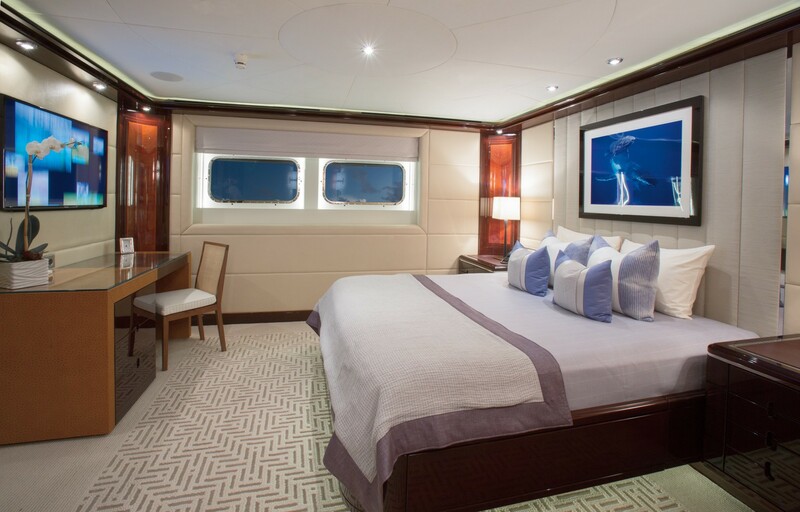 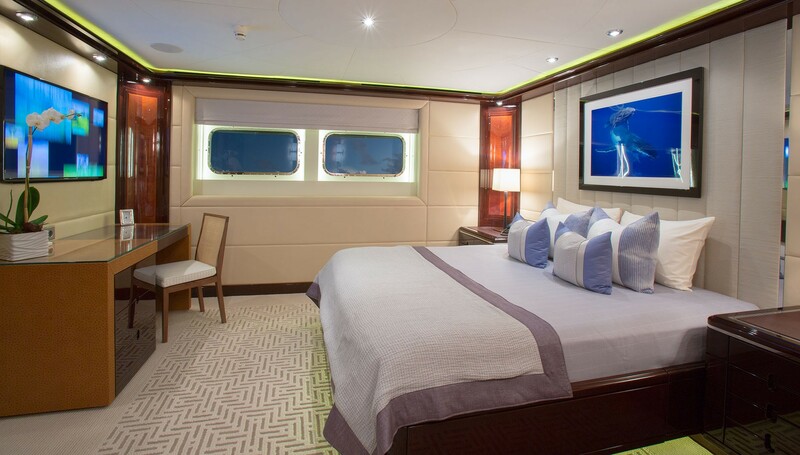 The yacht’s layout is as follows: She has a wonderful Master cabin (on main deck) which like the VIP (on bridge deck) offers a double bed. 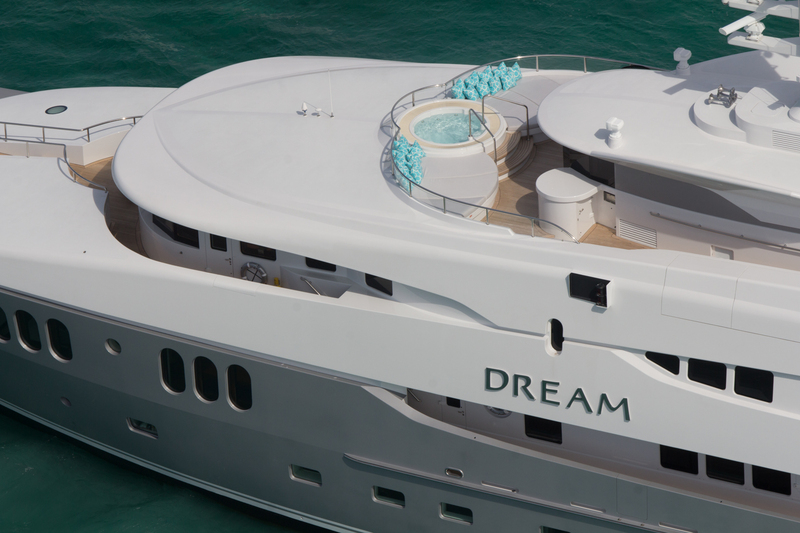 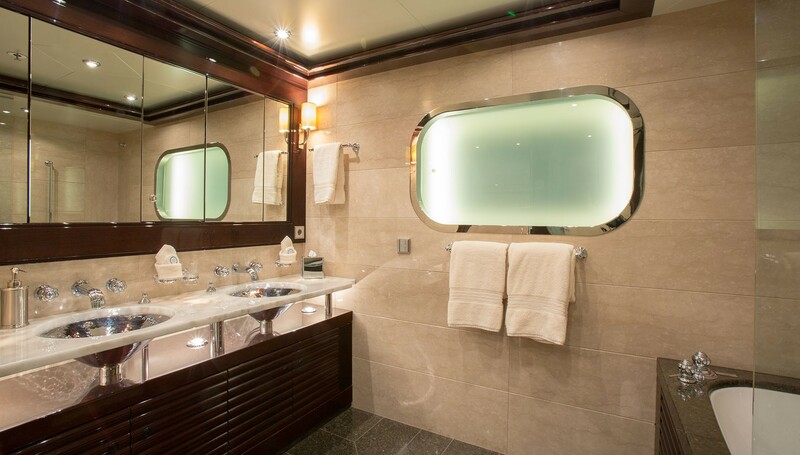 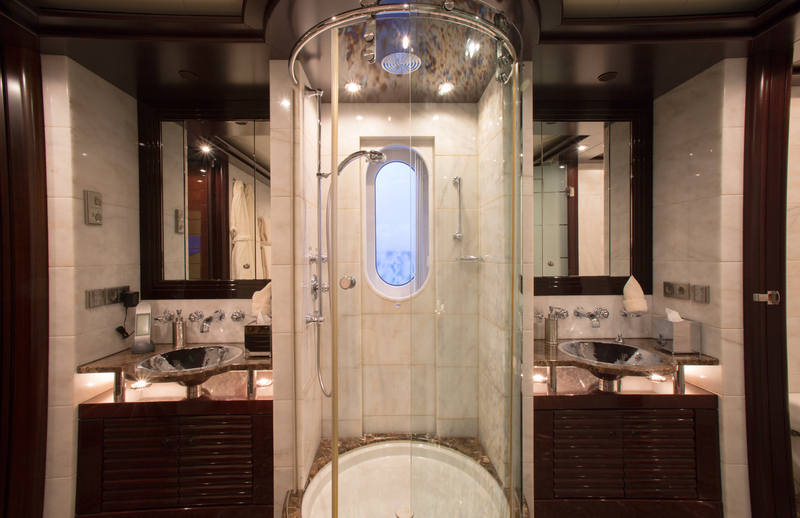 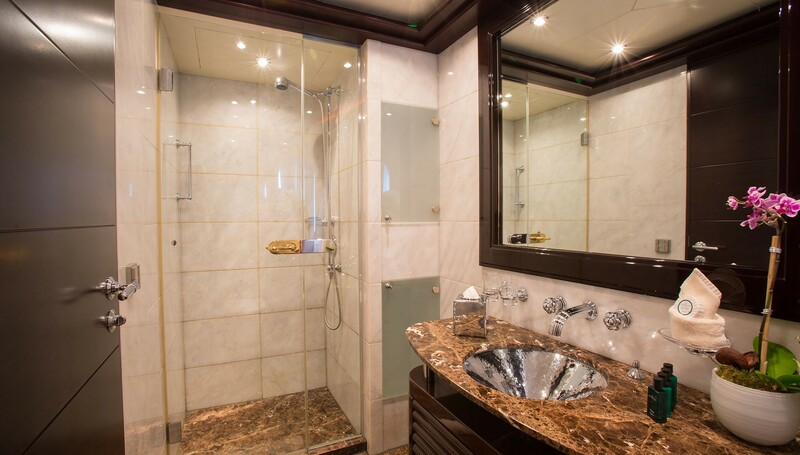 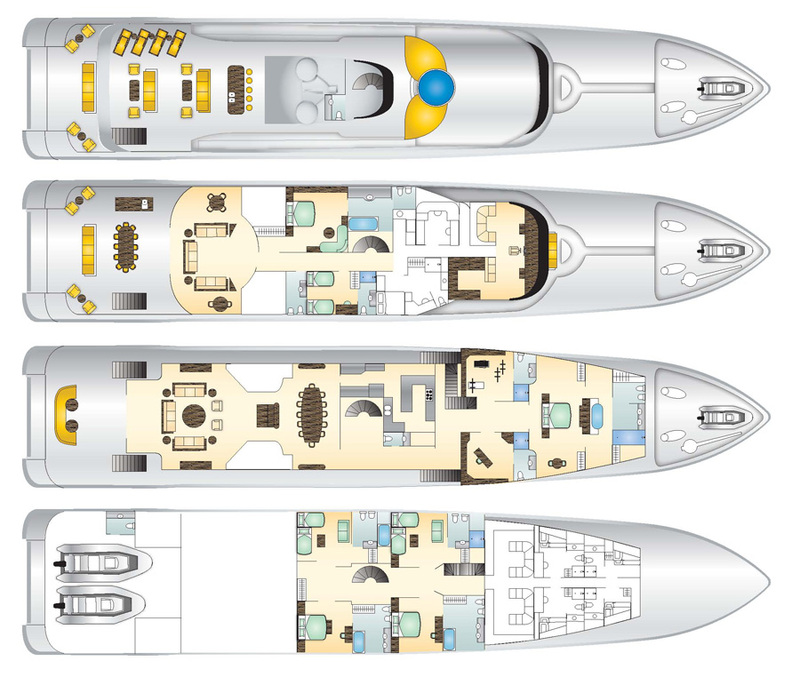 Luxury yacht DREAM also provides two further double cabins as well as two twin cabins. 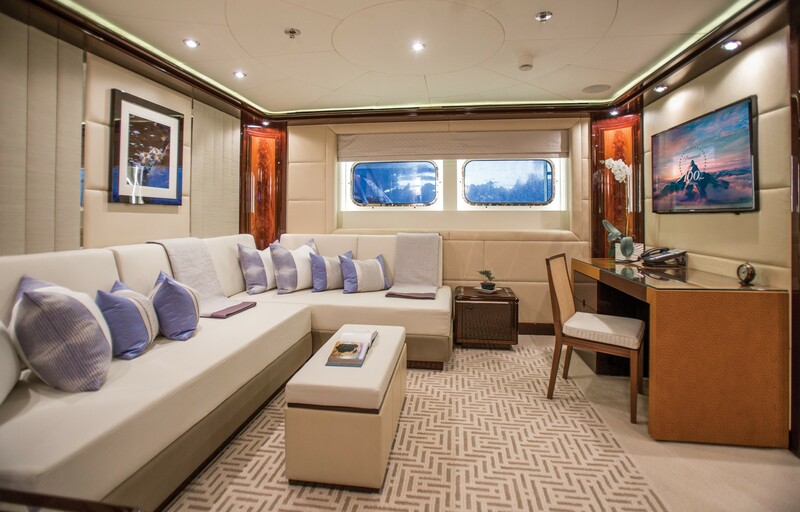 The two twin cabins are able to convert to a double room with its own large sitting room. 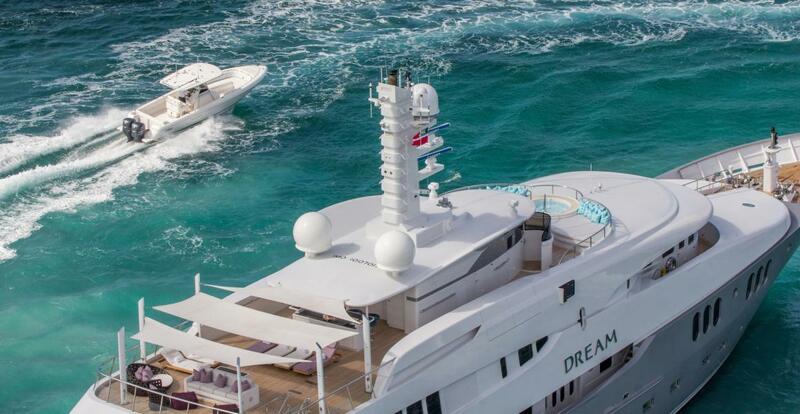 Luxury motor yacht DREAM (ex Excellence III) offers the following amenities and water ‘toys’: a 7.5 meter custom designed tender (with a 250hp engine), another 6meter Nouvurania Ecuador 600 tender (with a 250hp engine), a Hobie laser boat, two Windsurfers, two Kayaks, two 800hp Yamaha Wave runner jet skis, various Knee boards, water Skis, Inflatable toys, Snorkeling equipment, Rendezvous diving and Fishing tackle. 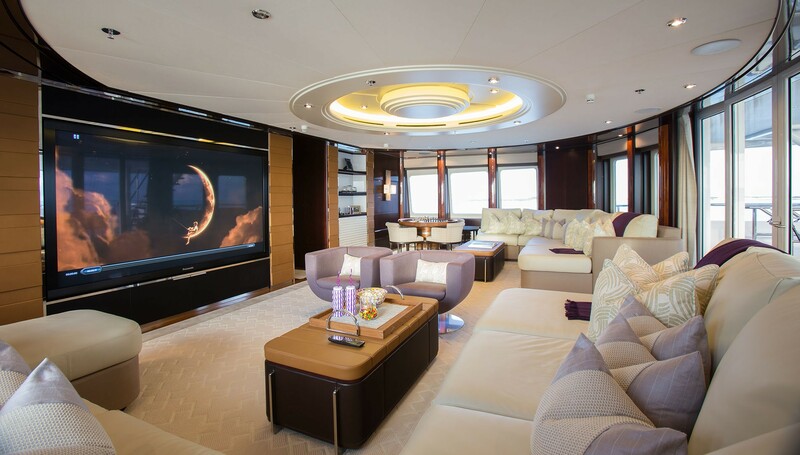 Inside the luxury yacht offers a LINN music system which is ‘on demand’ throughout the yacht, a Plasma screen TV - in both guests and master cabins, the Sky lounge also converts to full theatre (with a surround sound music system and a movie screen), a Gymnasium situated on the Main (including Universal Gym and two Techno Treadmills). 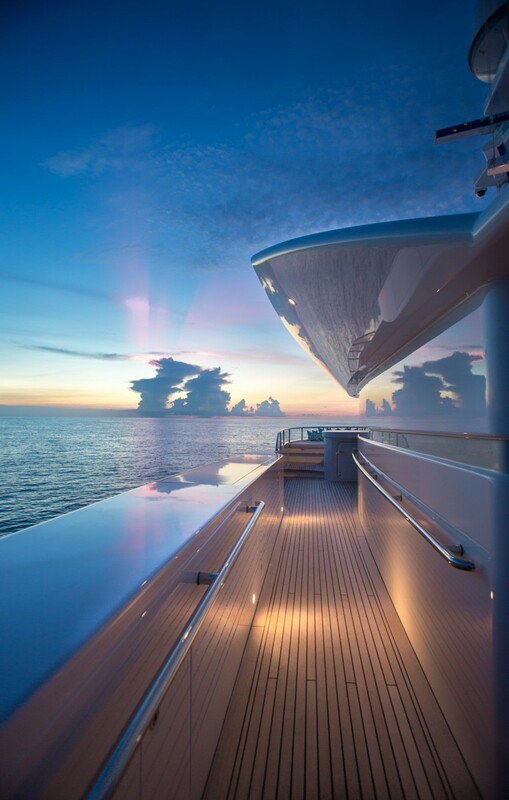 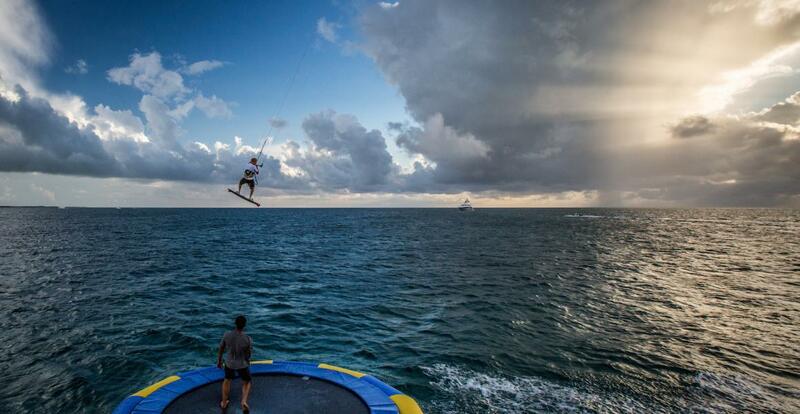 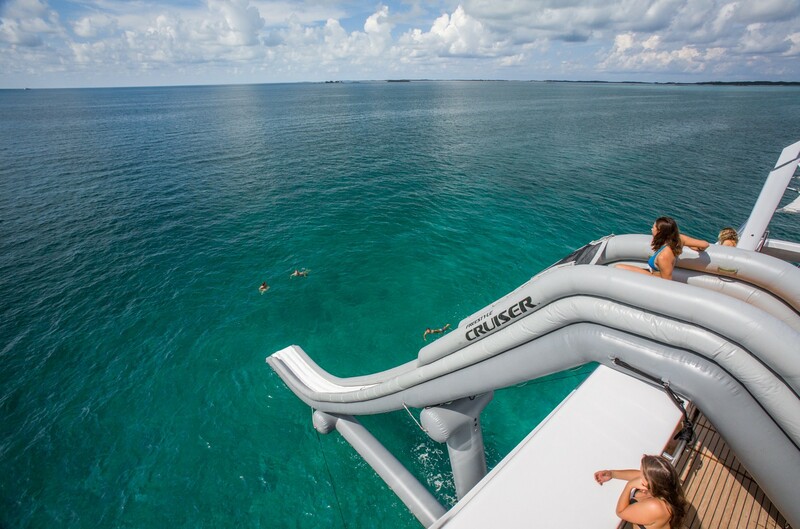 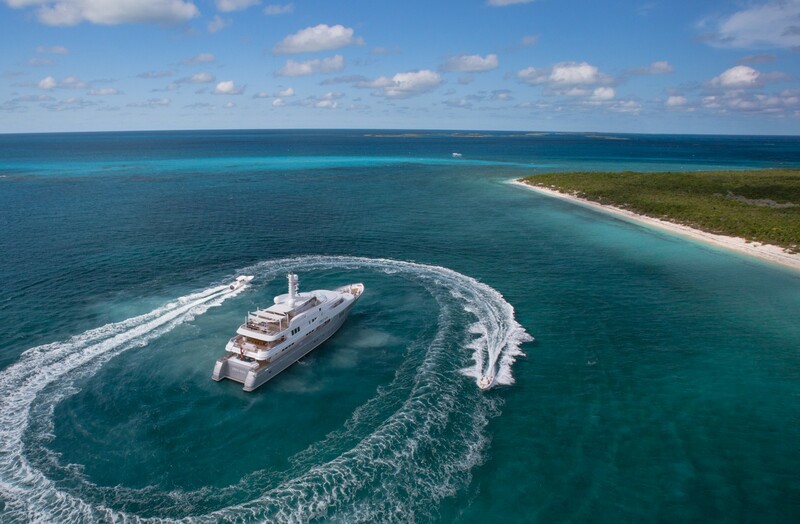 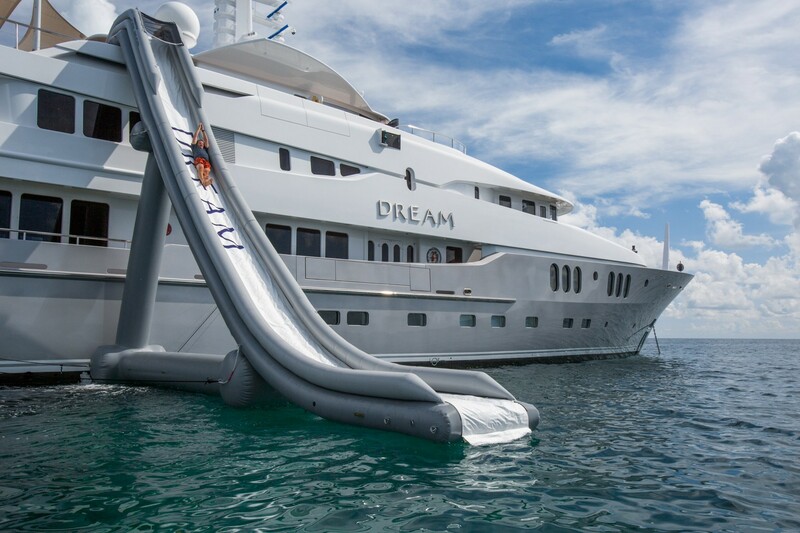 Yacht DREAM by Abeking & Rasmussen - The Epic Water Slide!